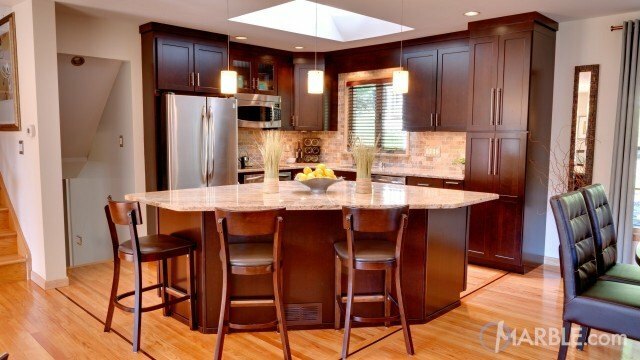 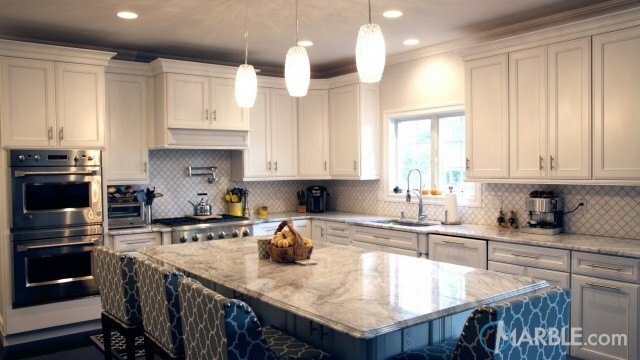 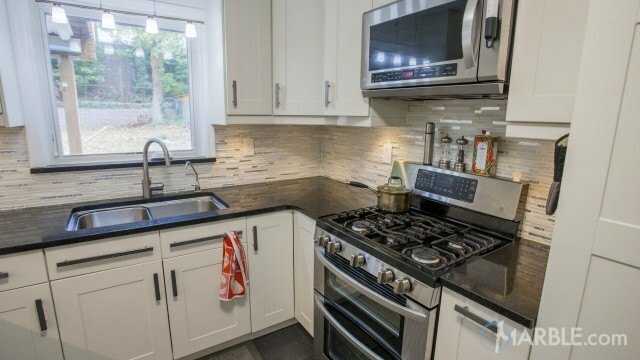 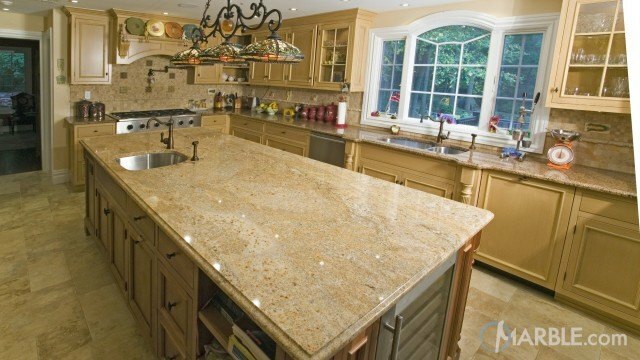 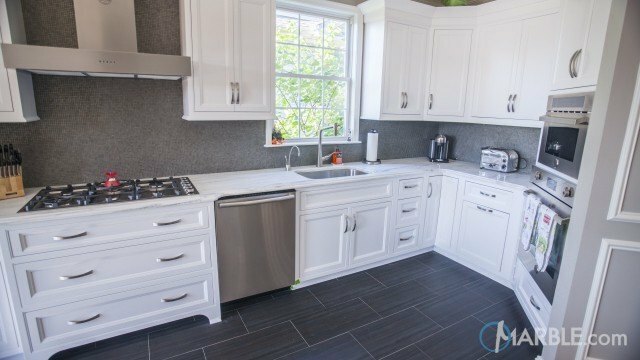 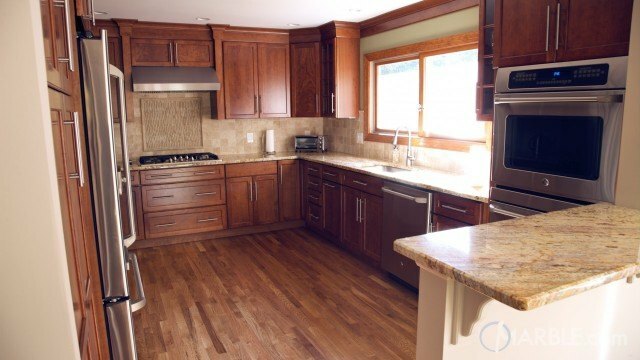 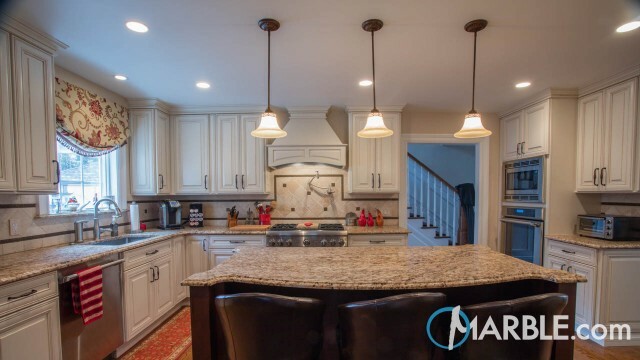 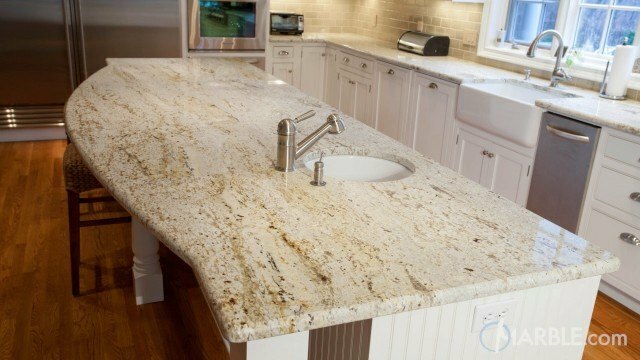 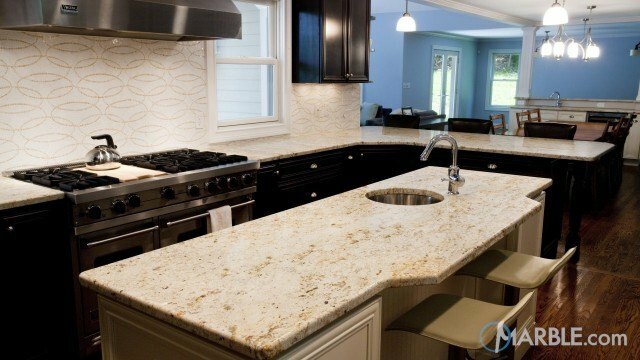 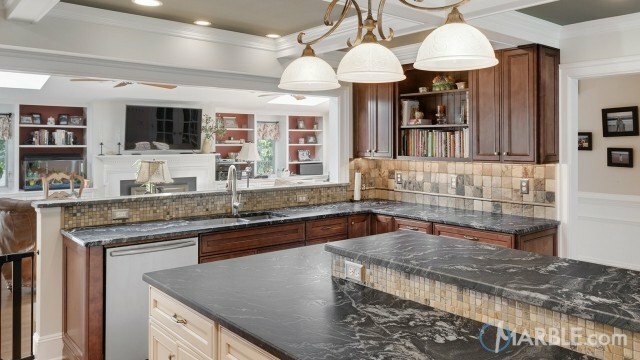 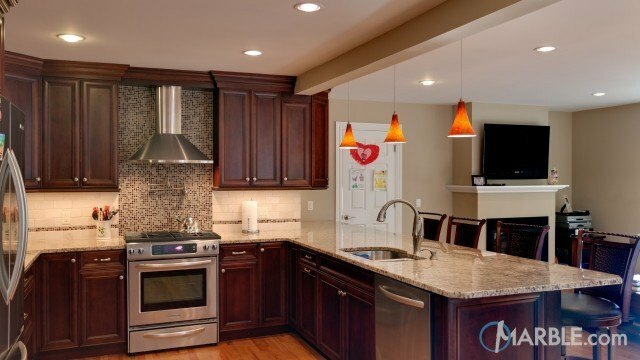 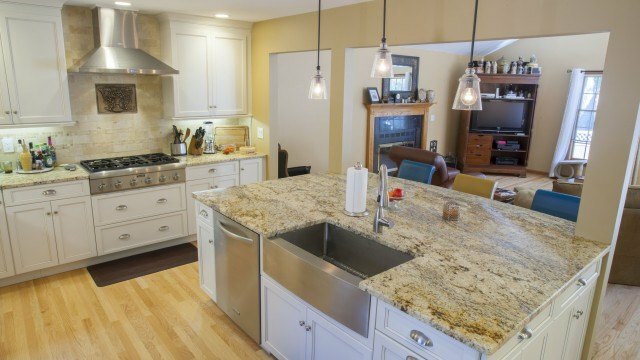 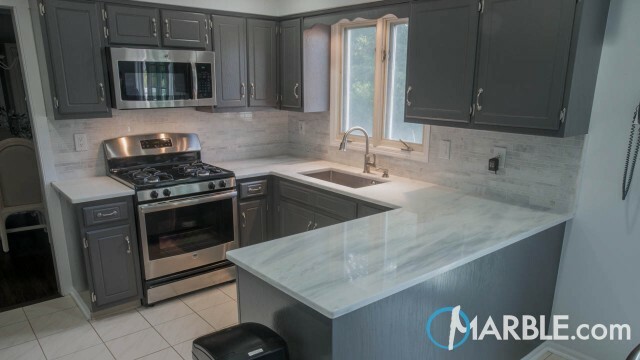 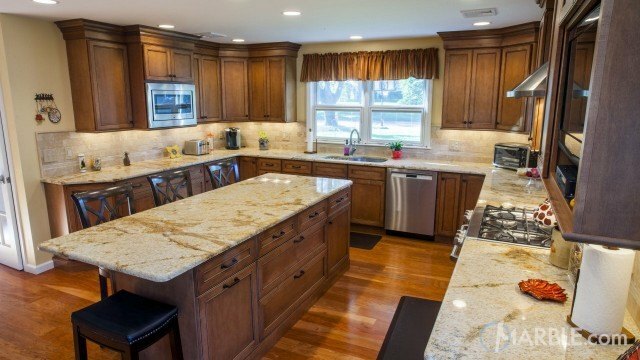 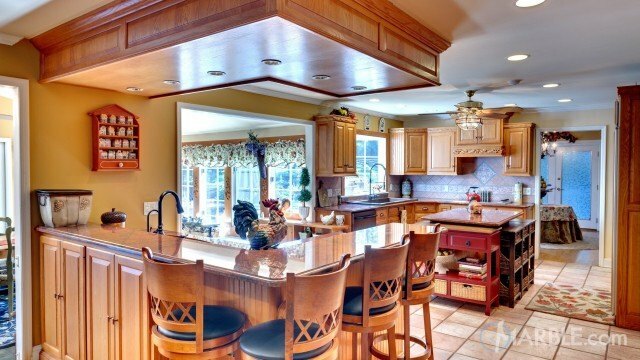 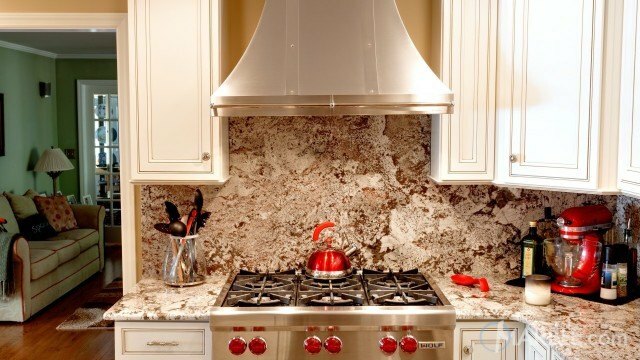 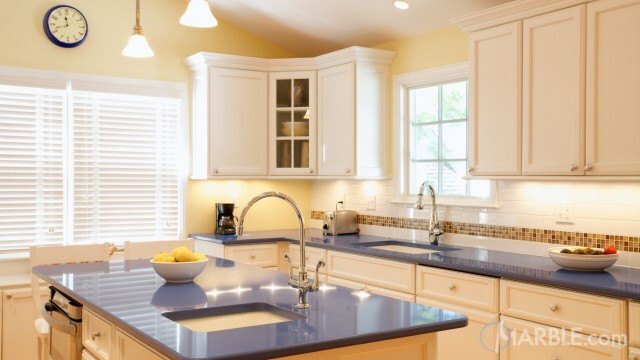 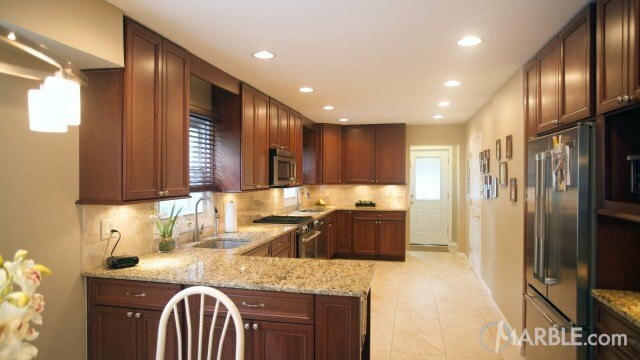 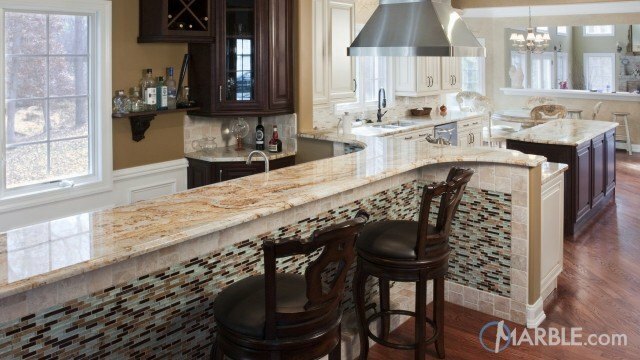 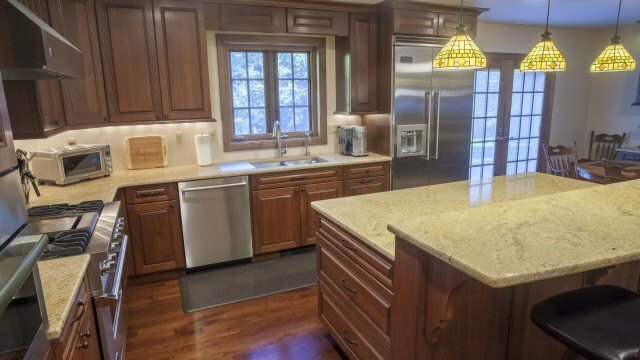 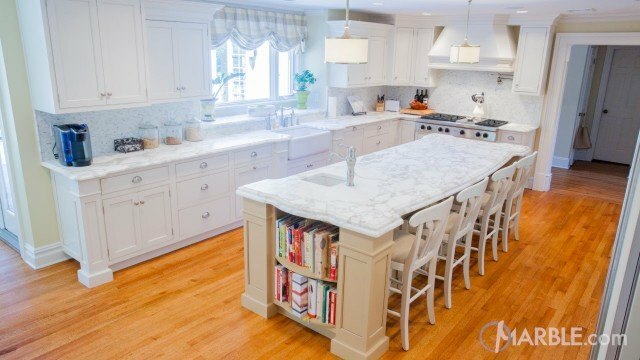 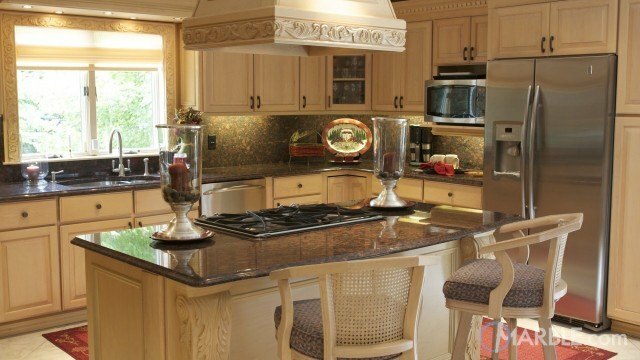 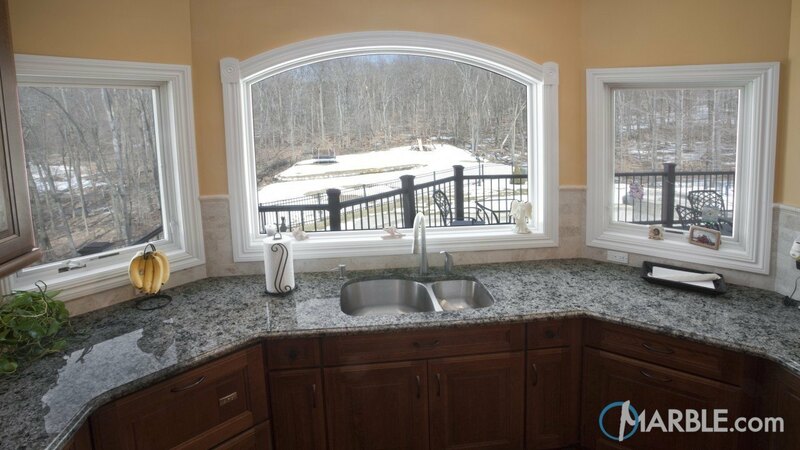 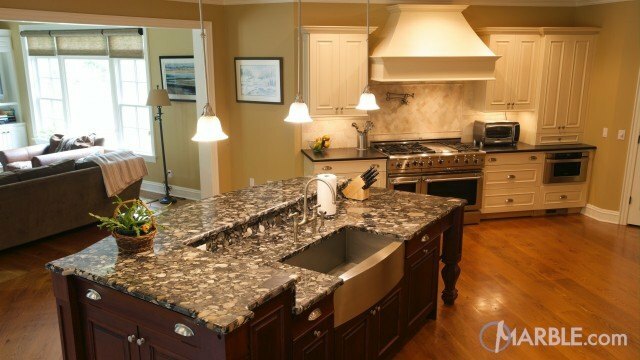 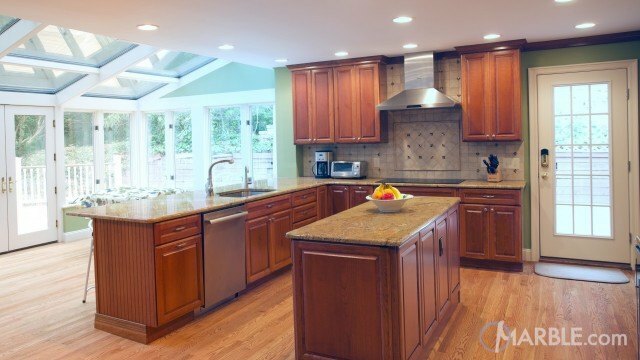 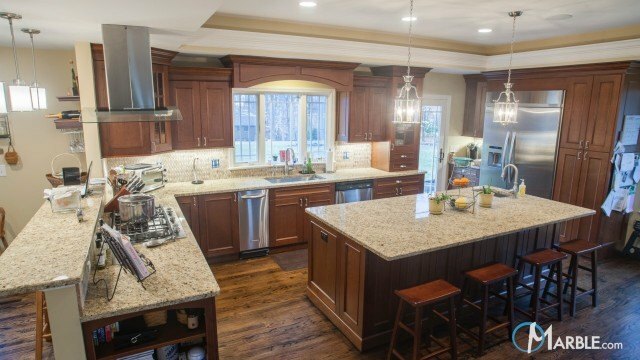 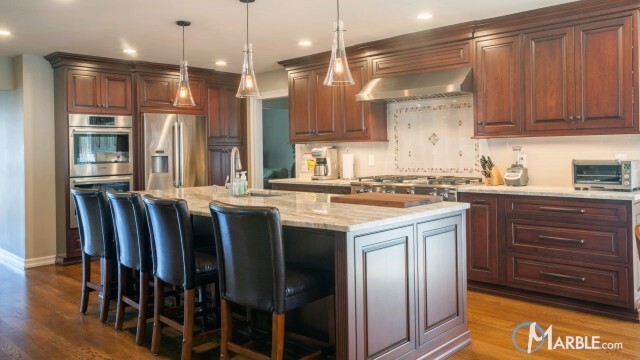 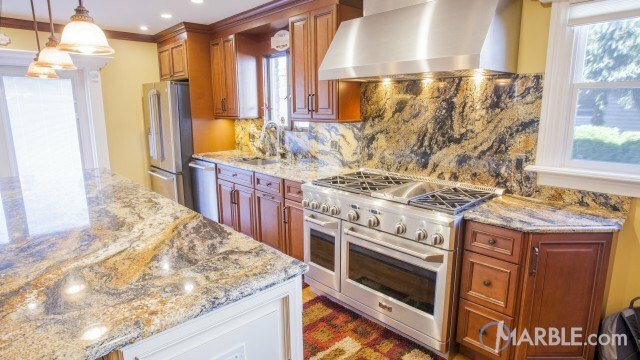 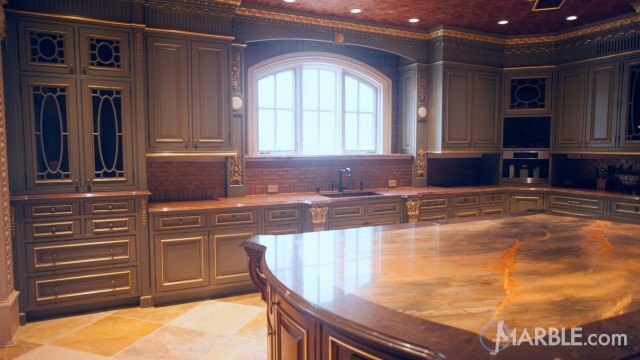 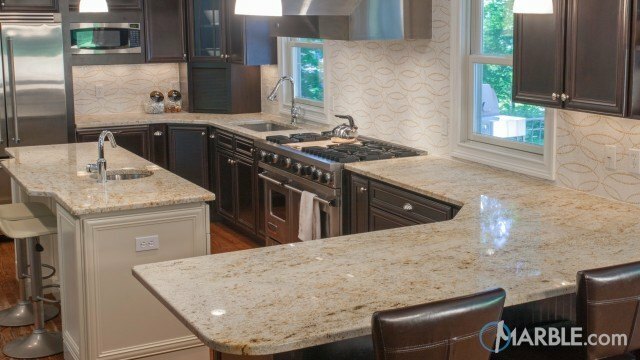 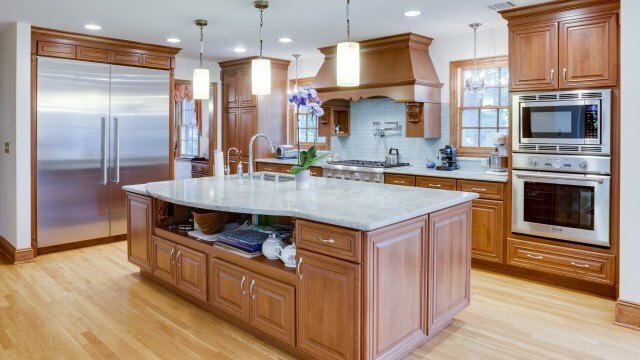 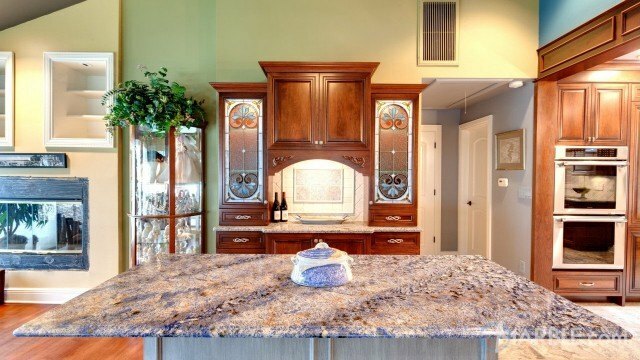 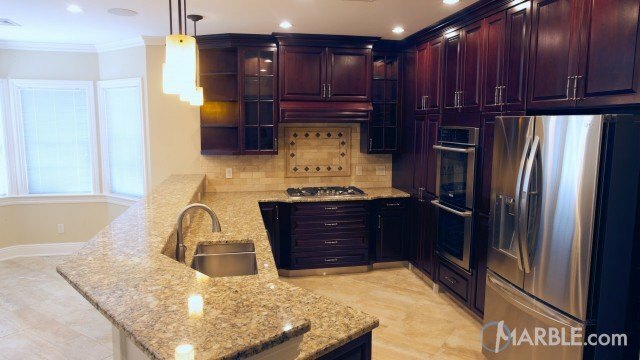 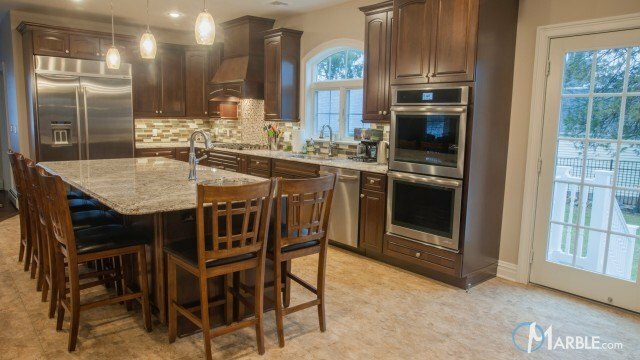 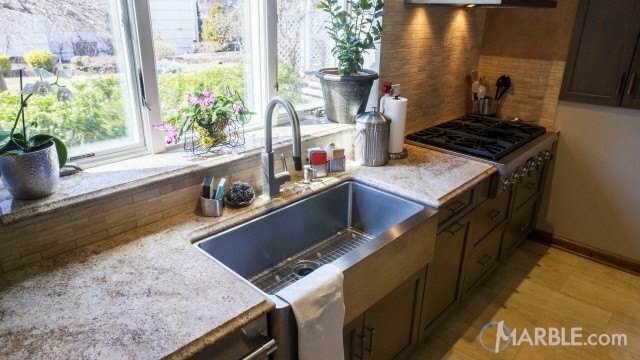 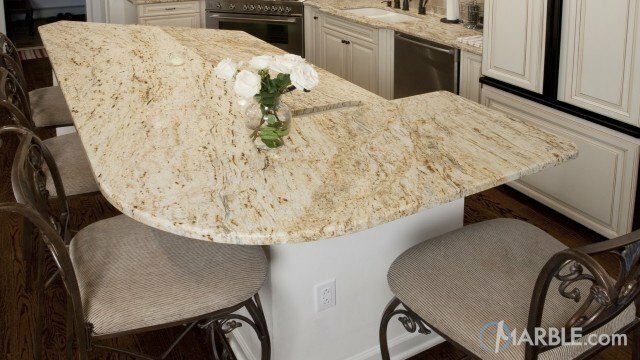 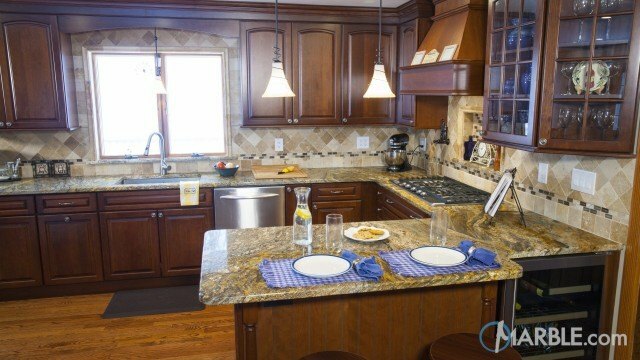 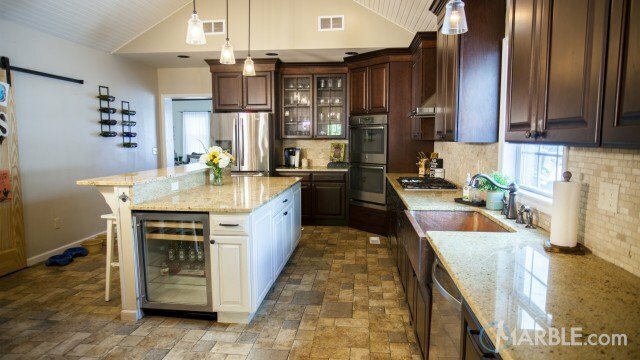 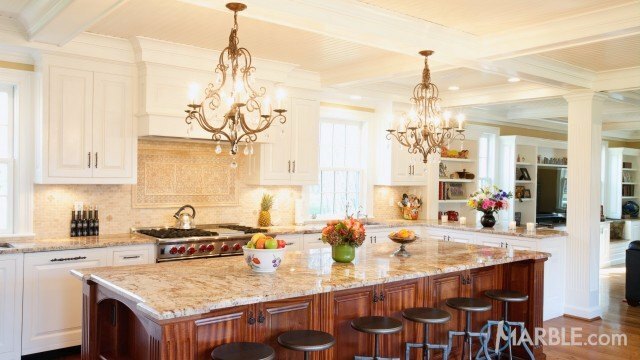 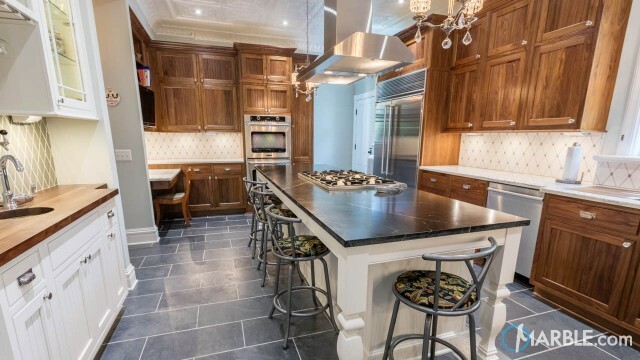 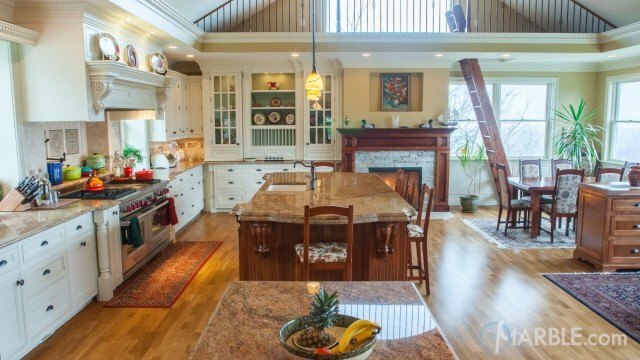 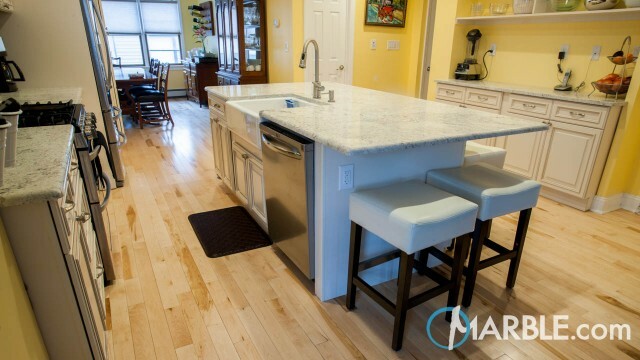 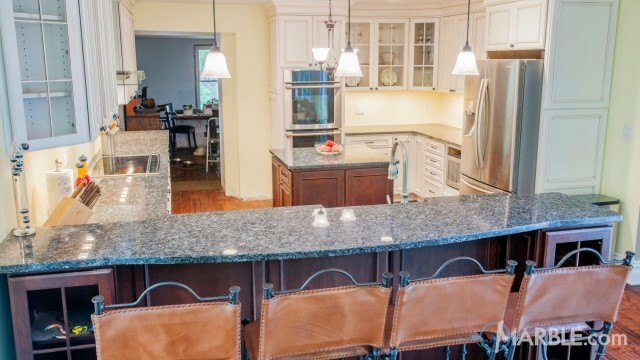 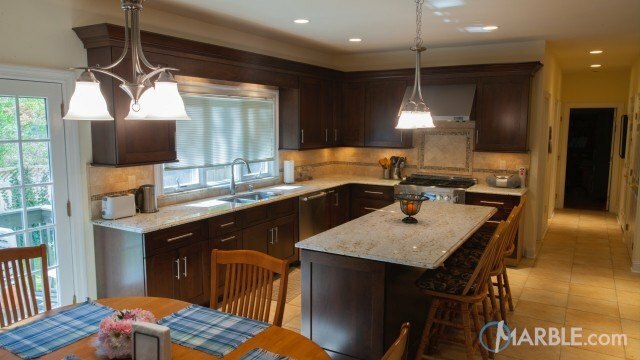 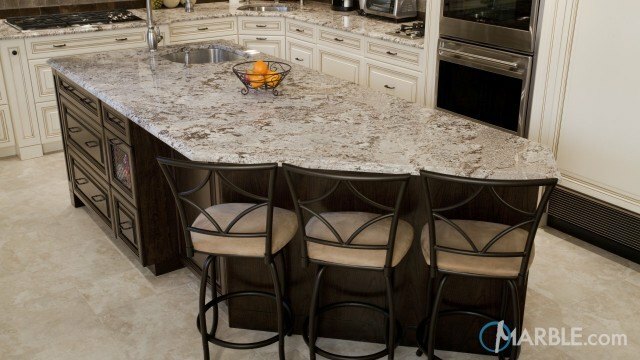 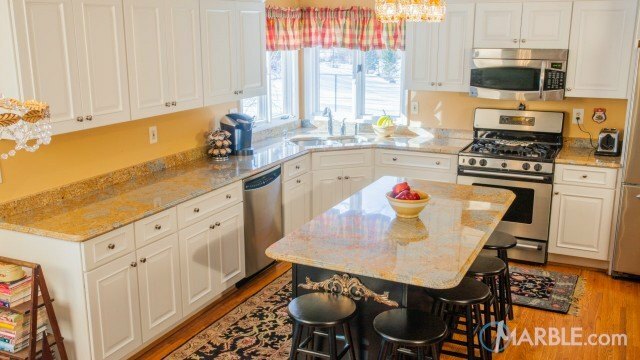 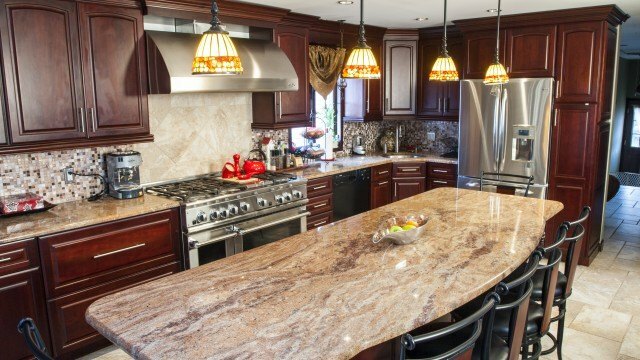 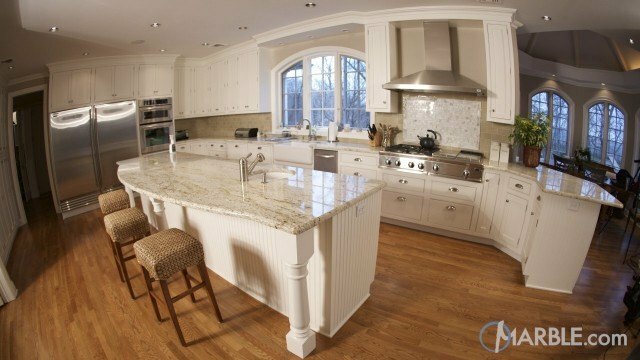 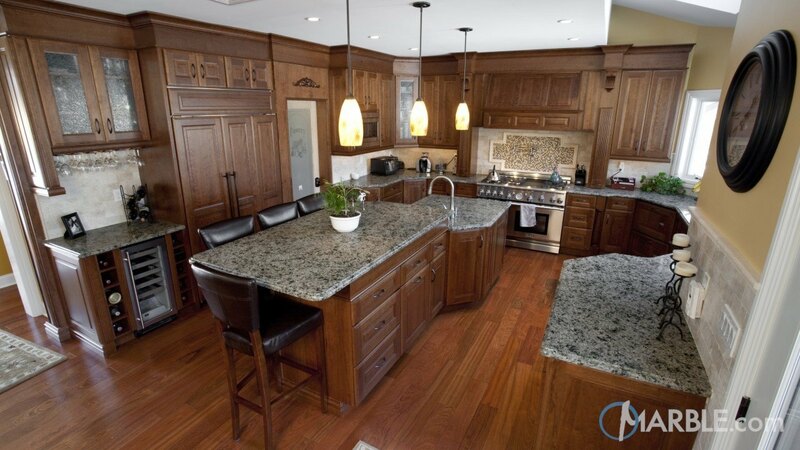 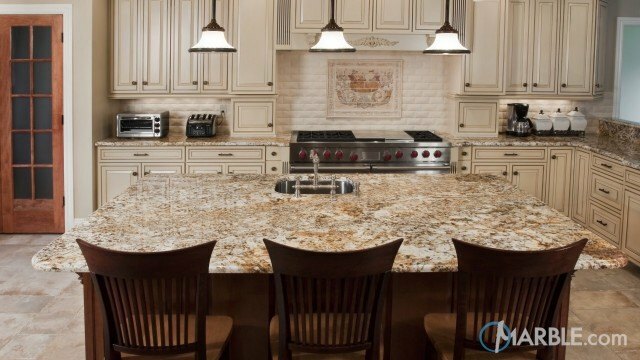 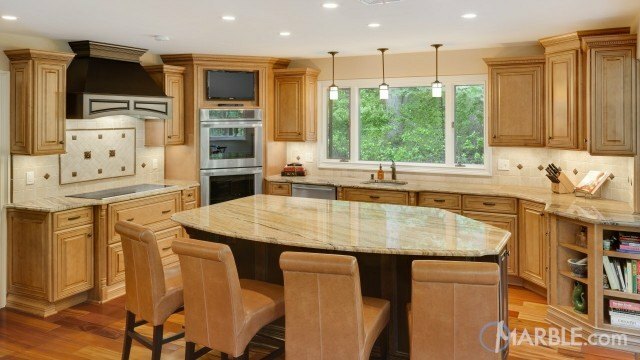 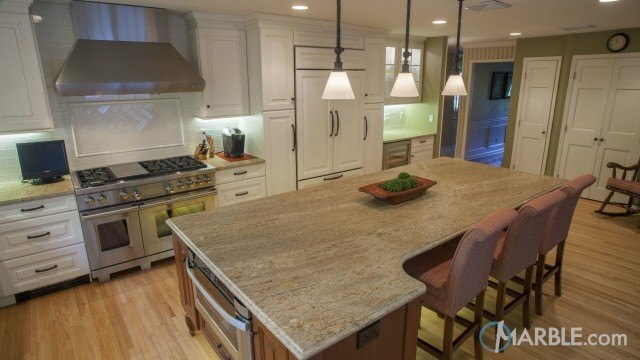 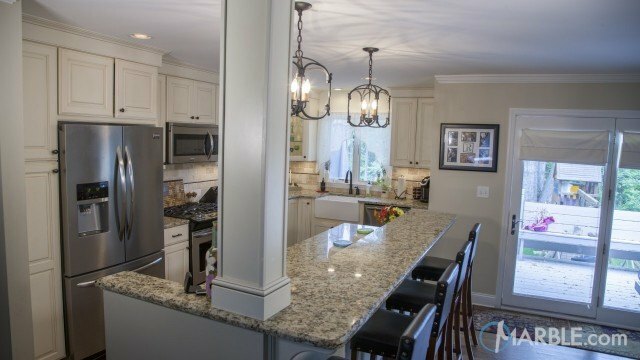 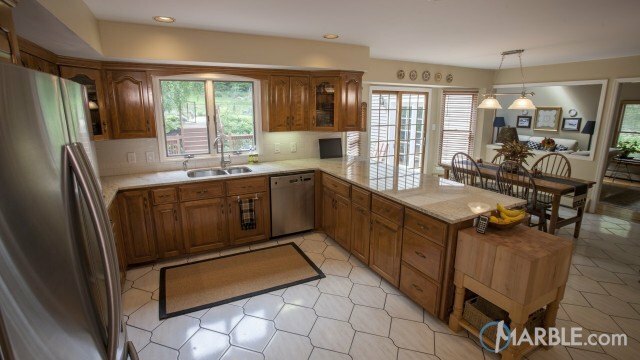 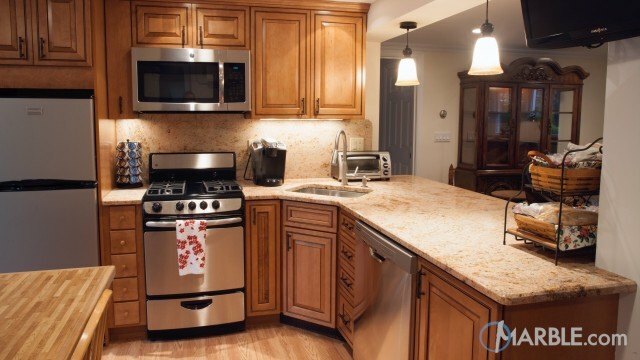 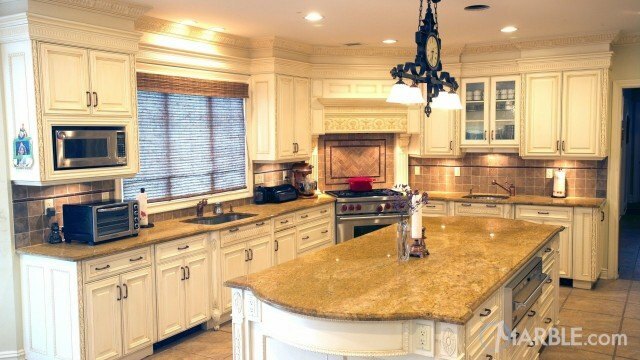 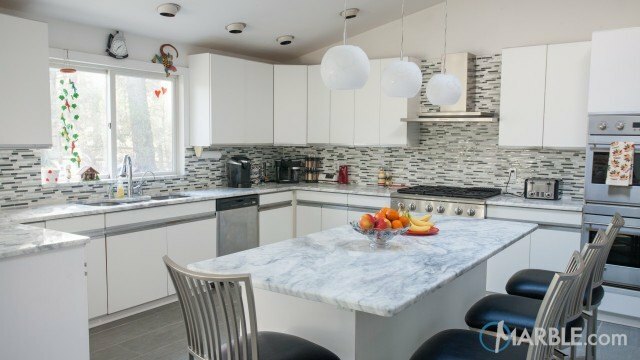 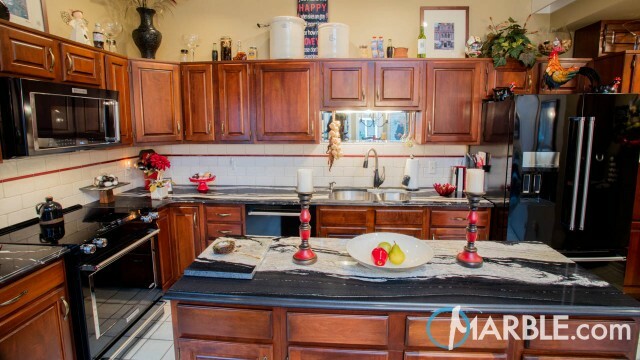 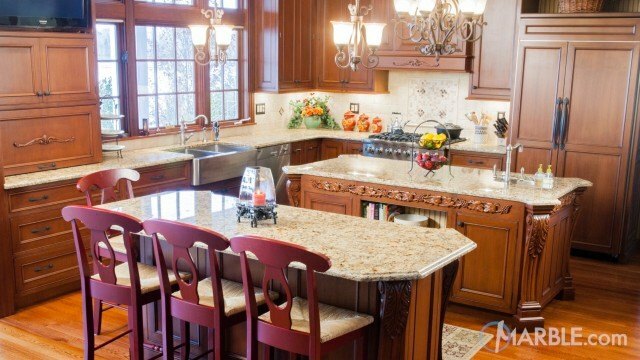 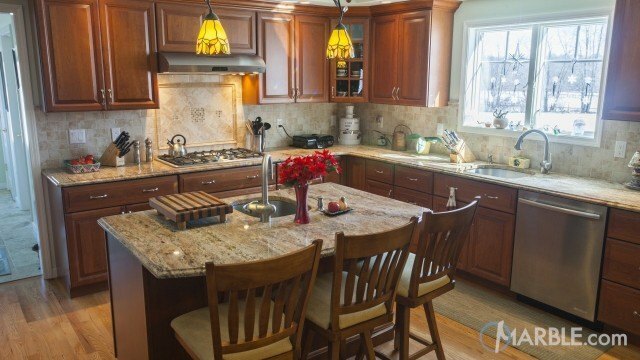 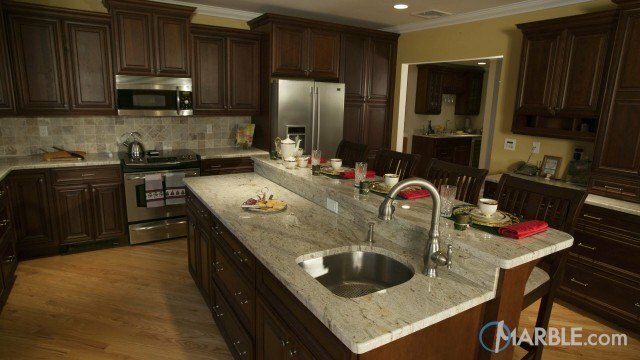 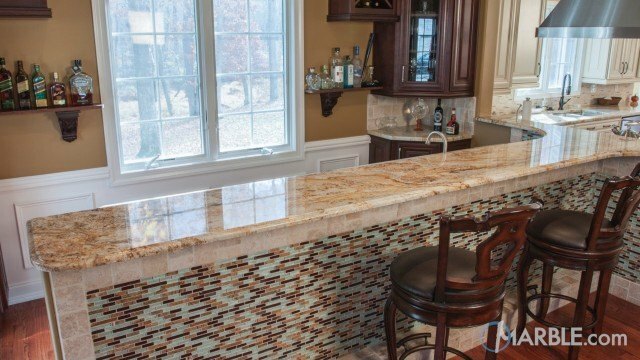 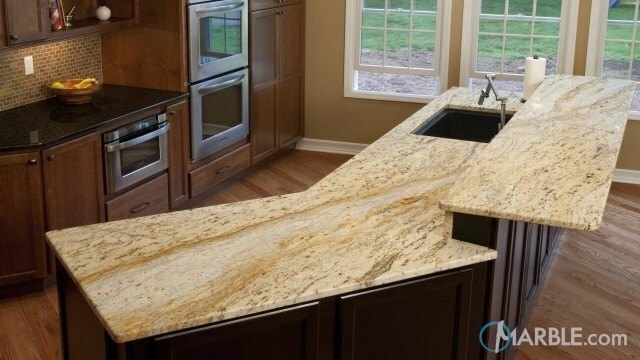 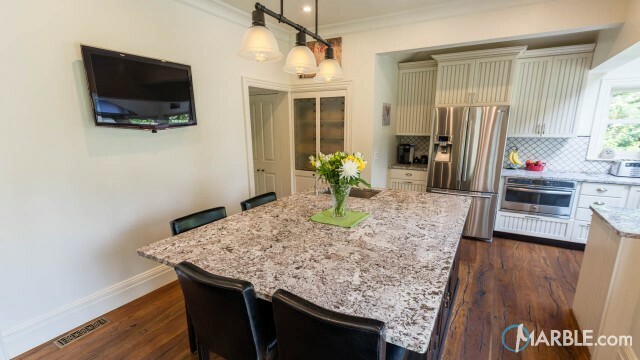 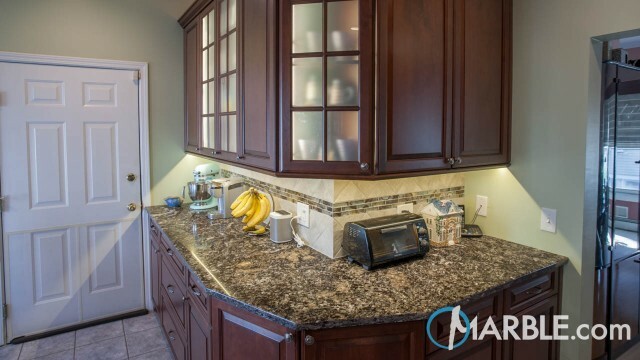 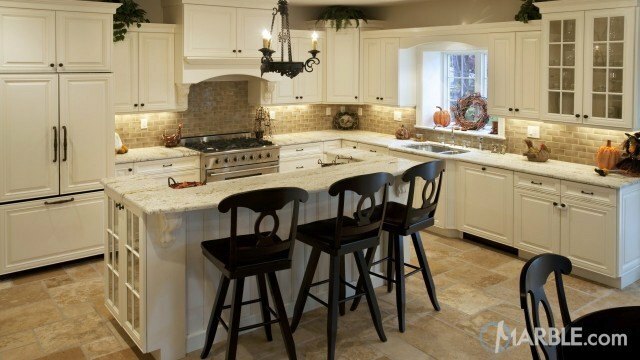 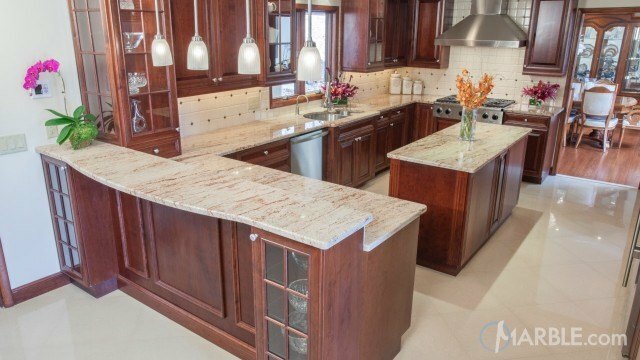 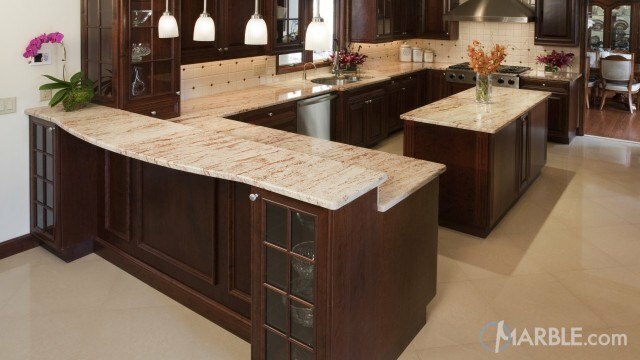 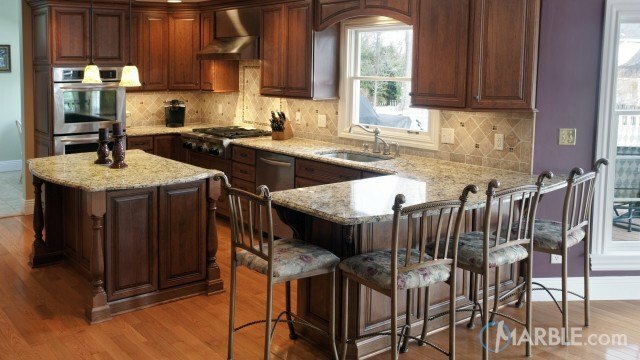 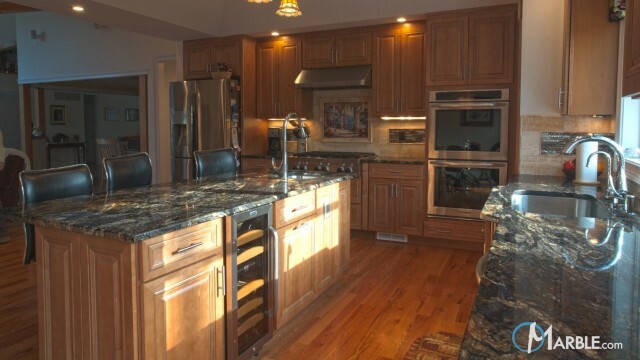 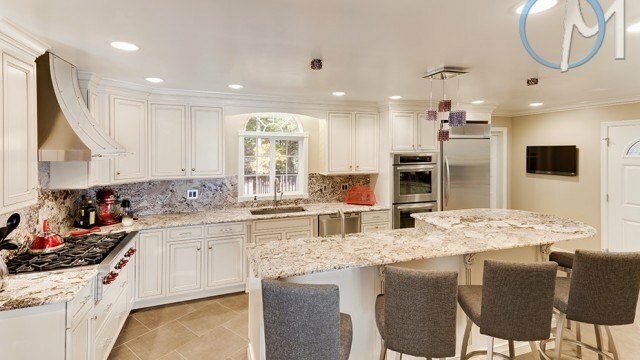 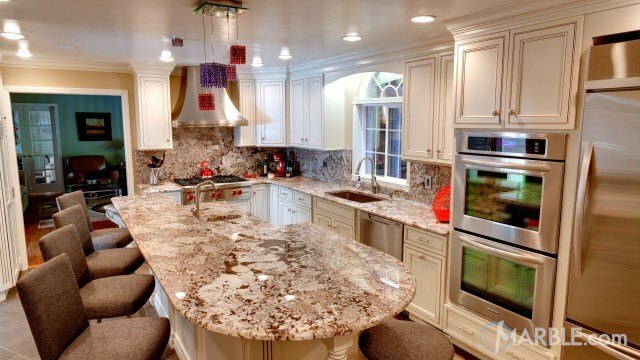 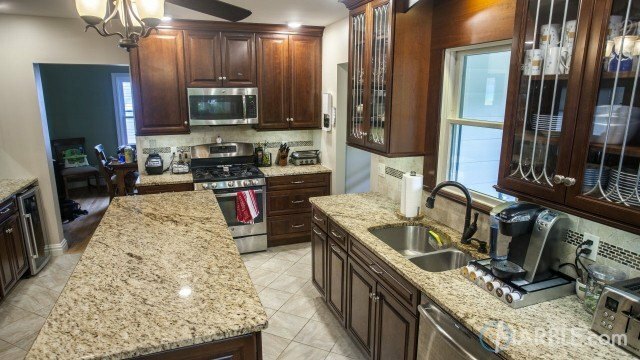 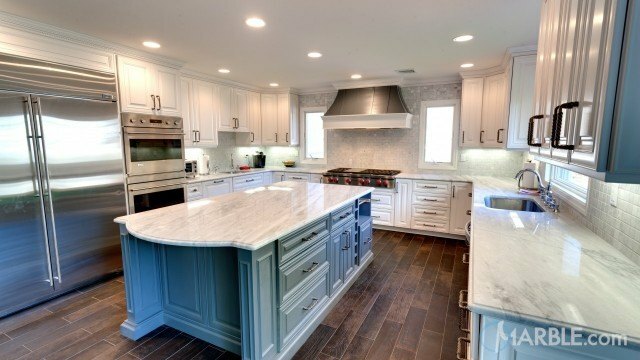 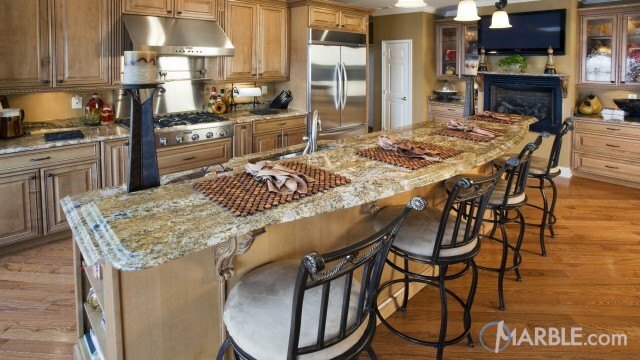 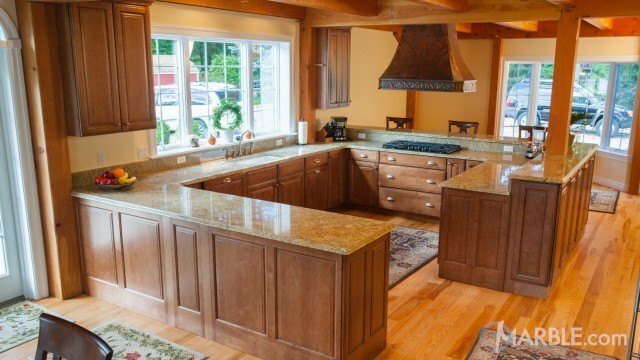 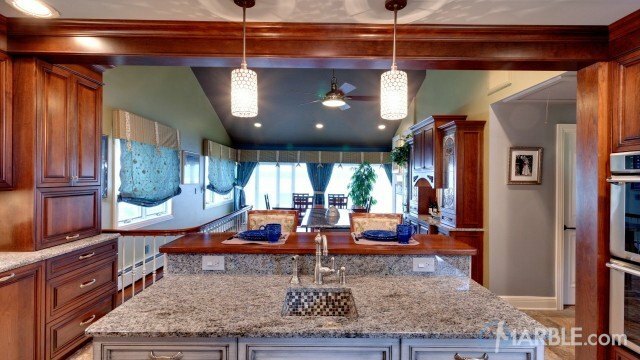 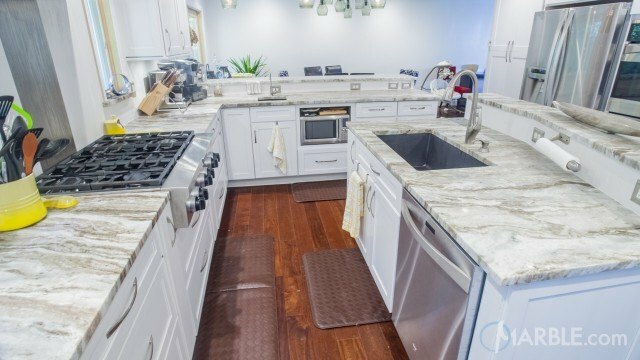 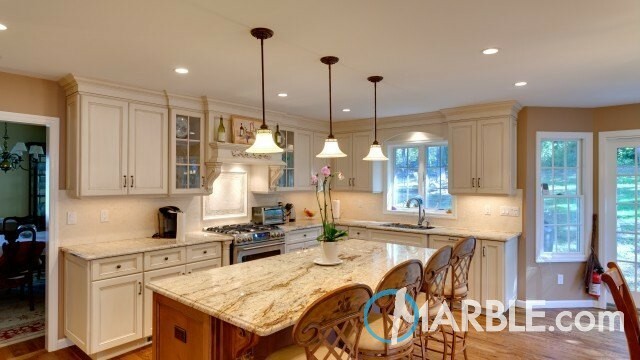 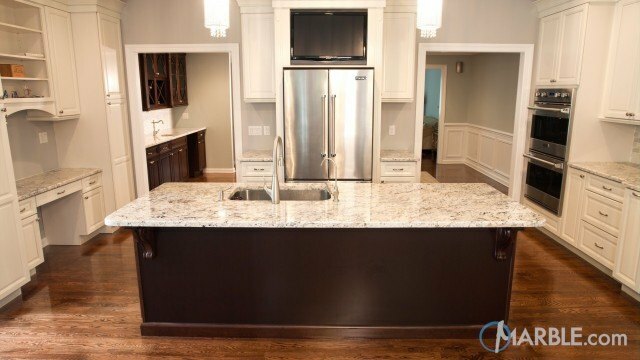 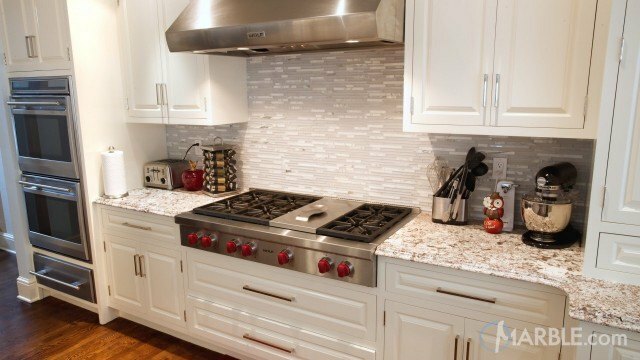 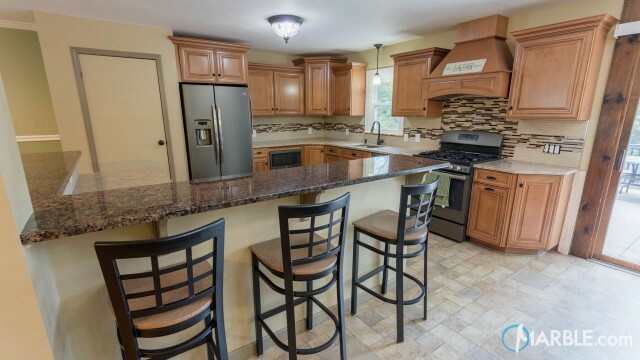 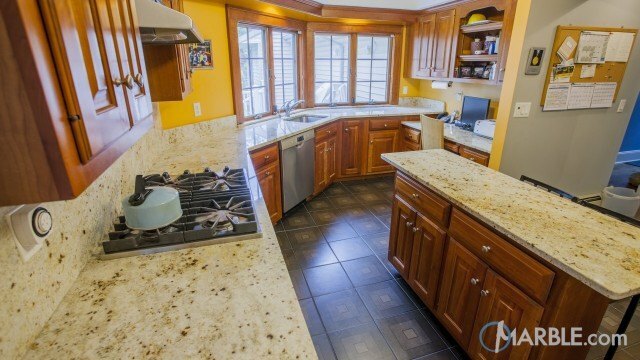 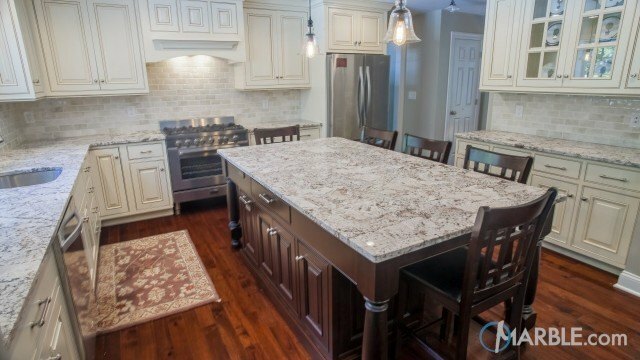 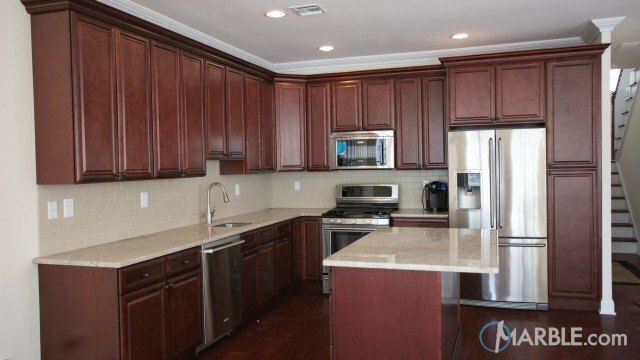 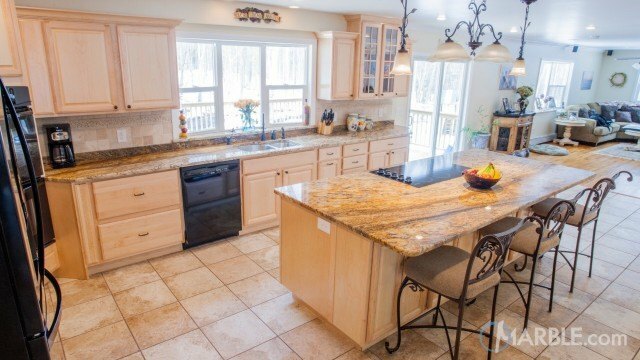 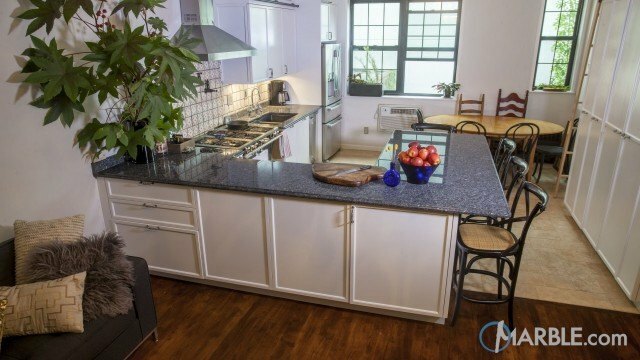 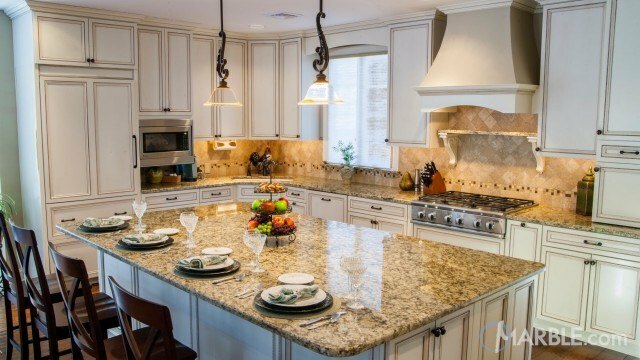 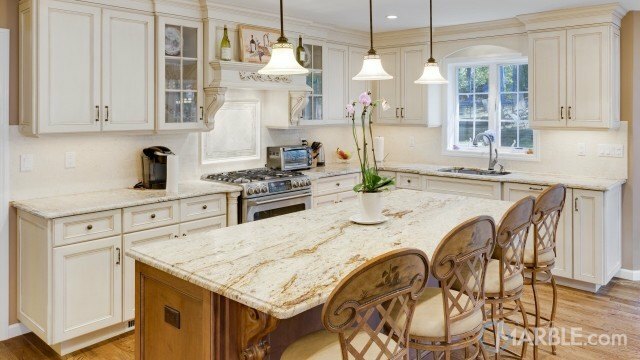 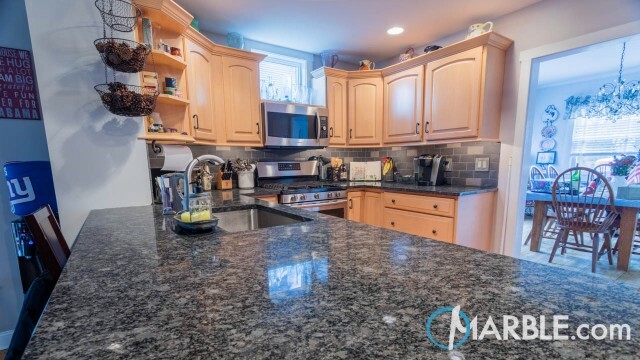 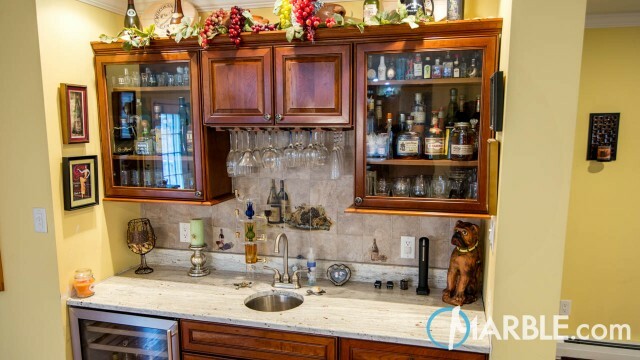 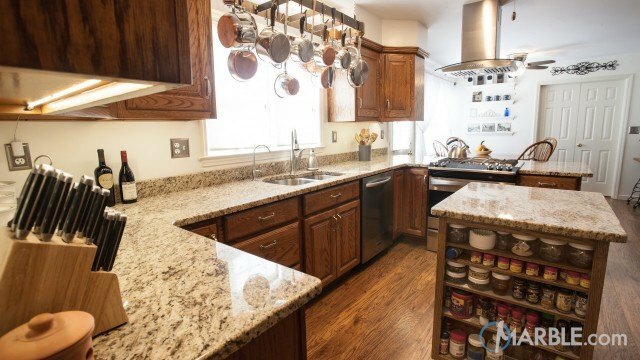 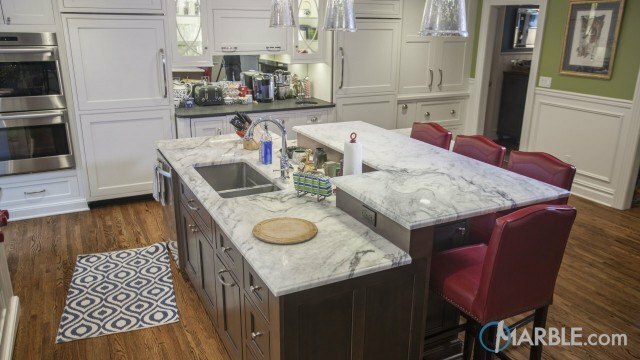 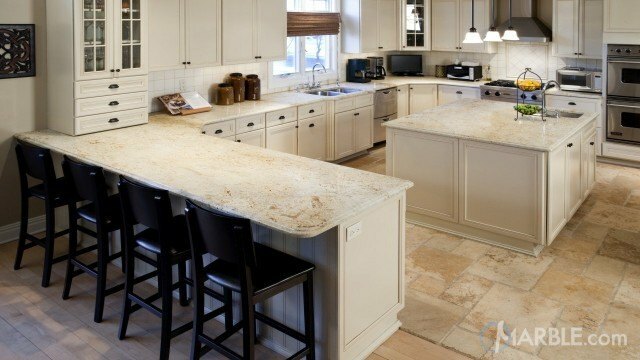 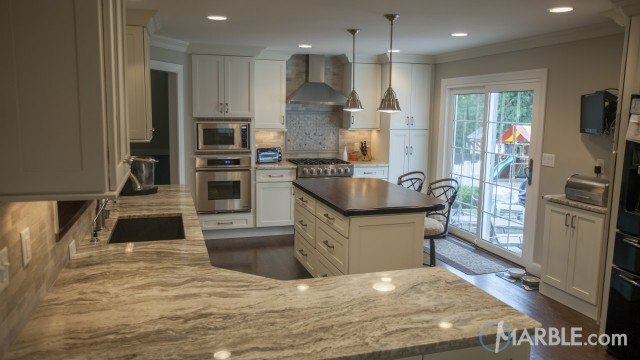 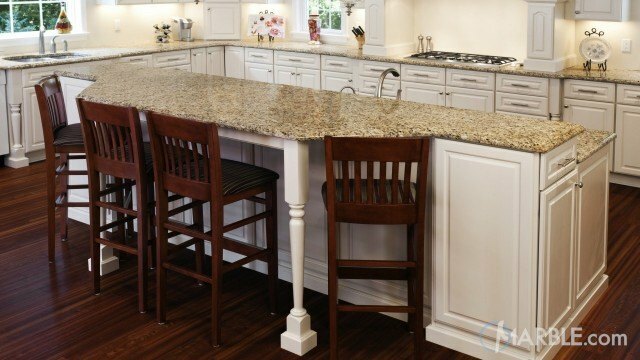 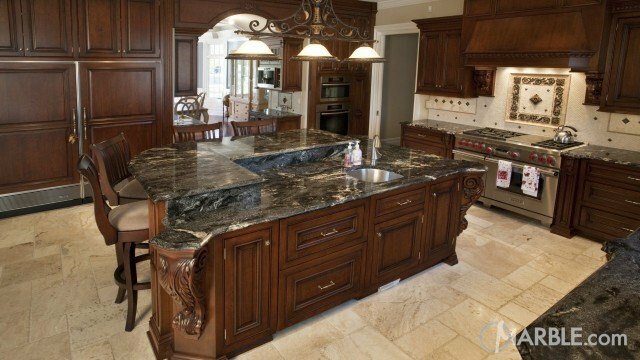 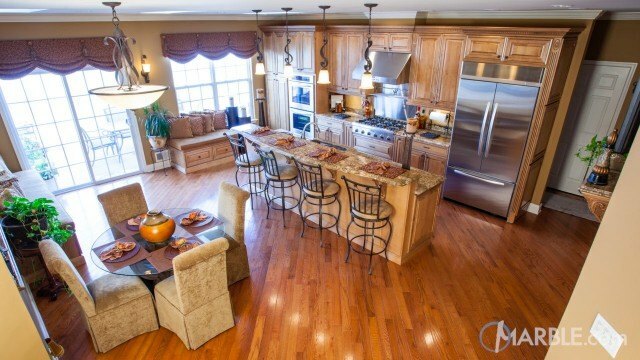 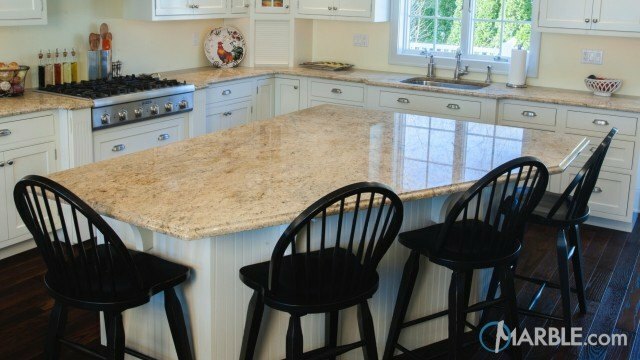 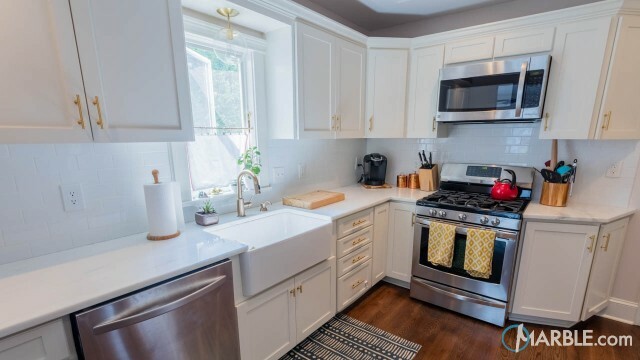 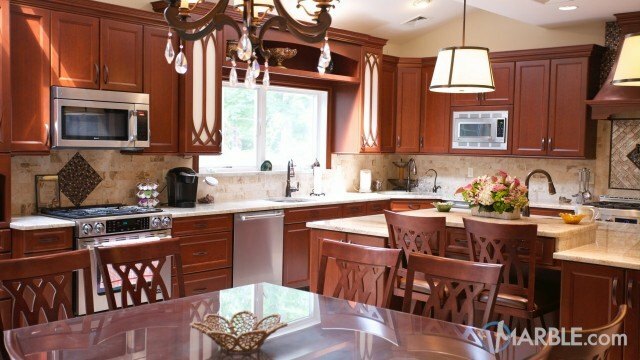 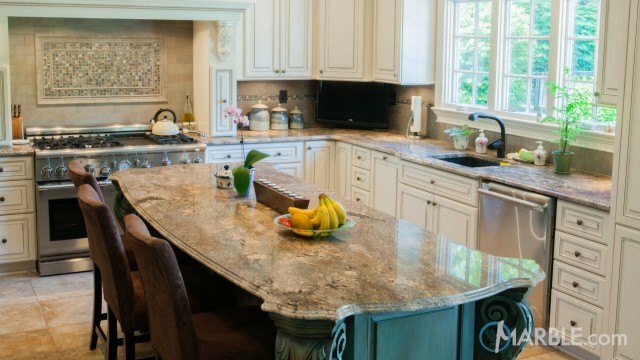 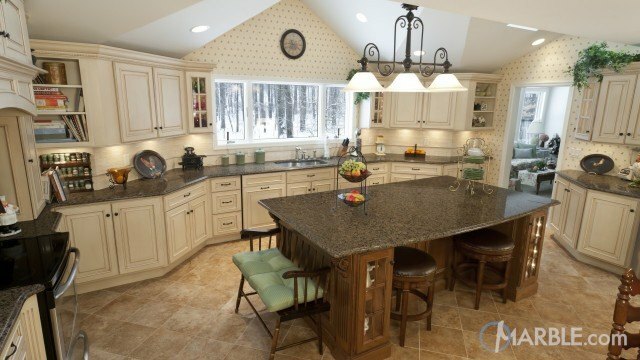 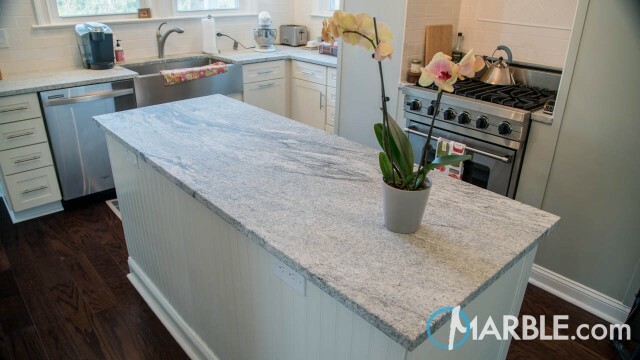 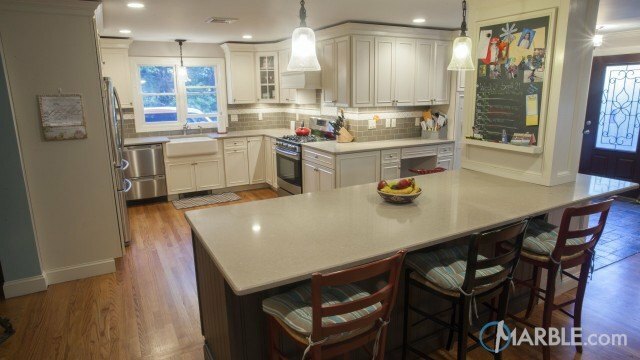 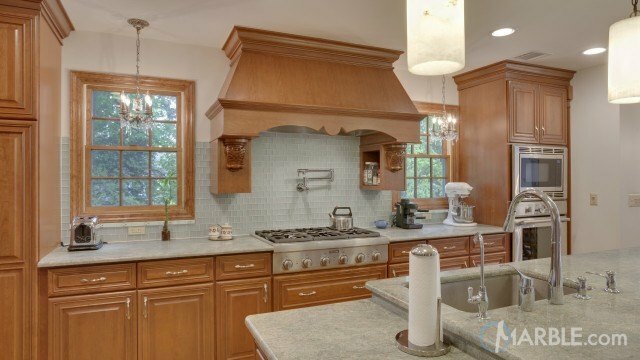 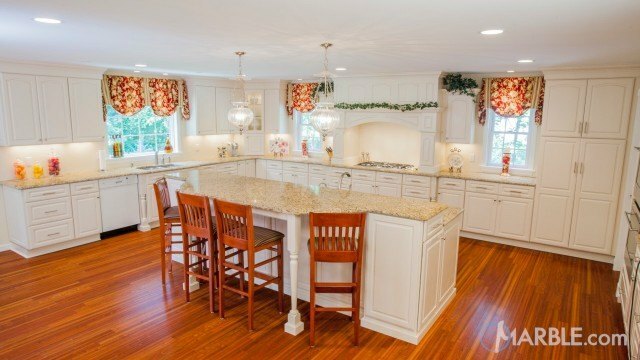 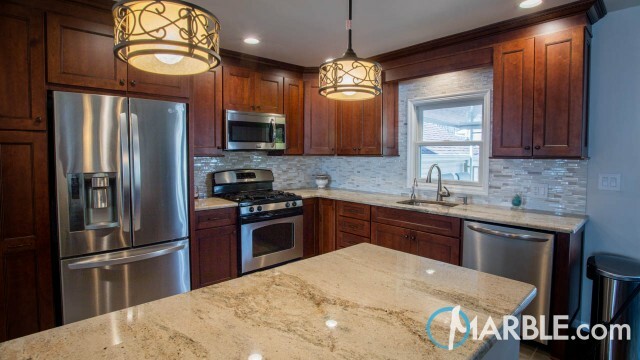 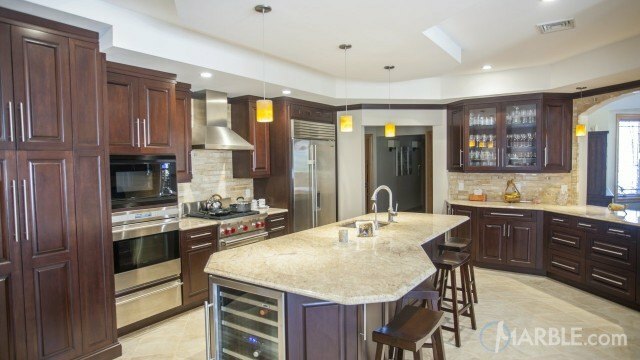 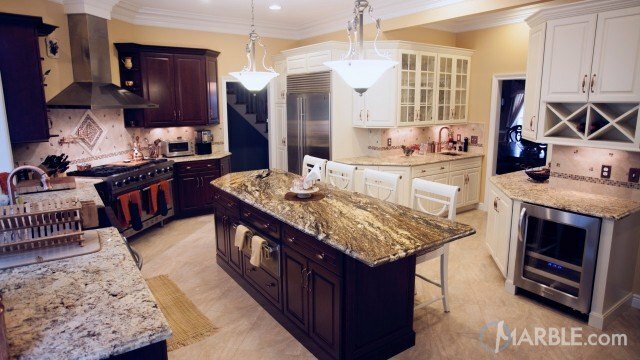 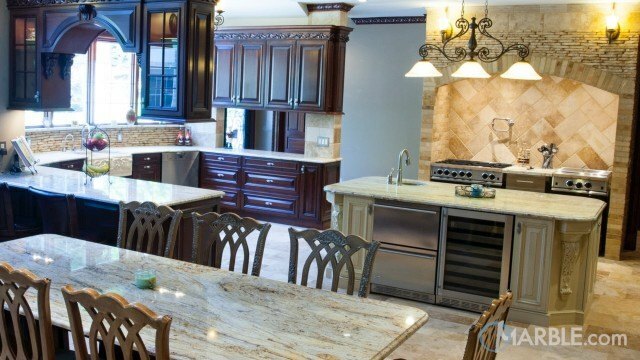 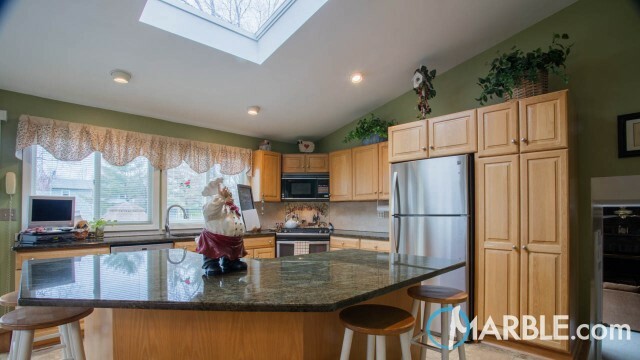 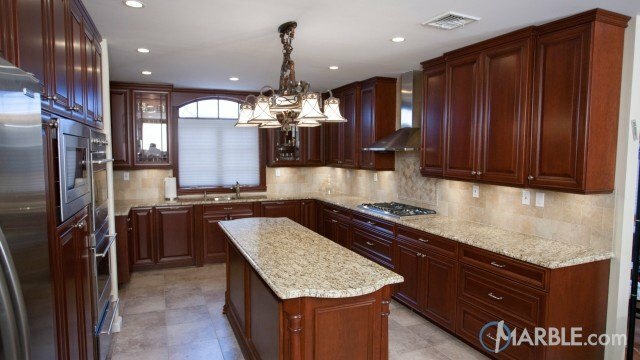 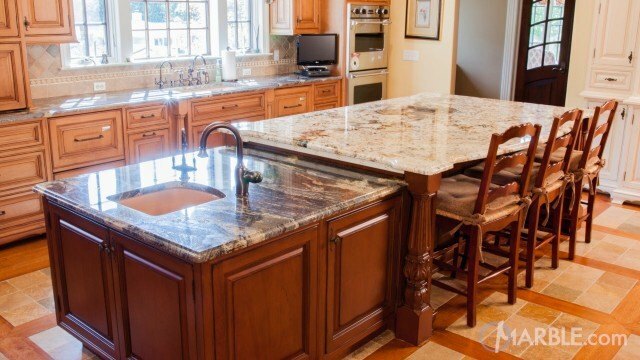 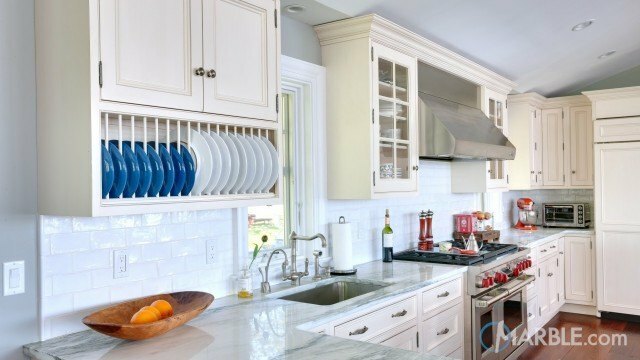 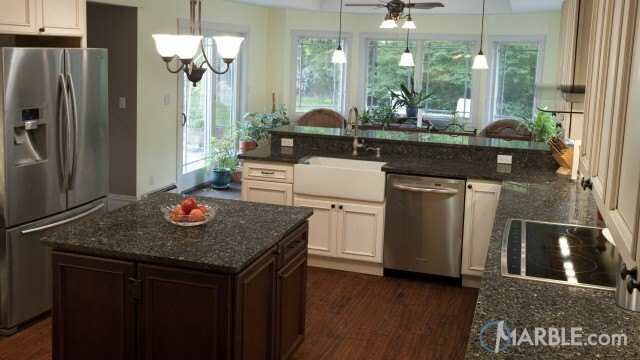 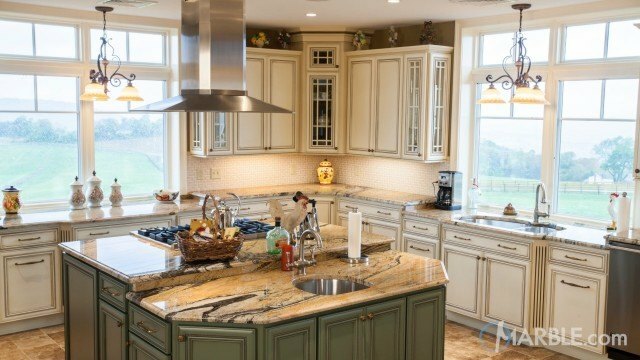 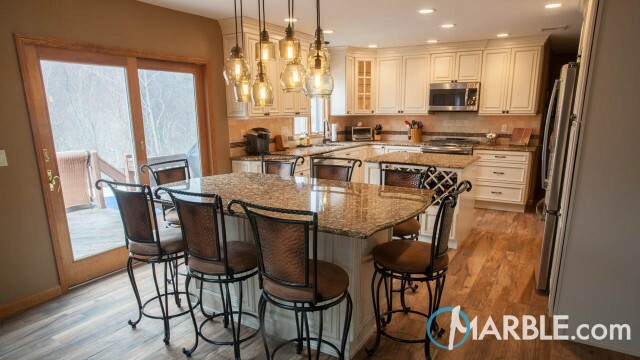 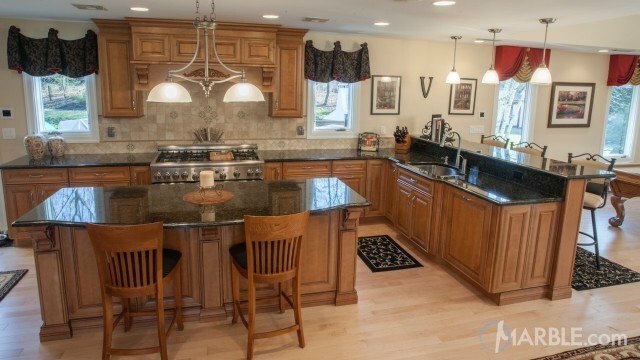 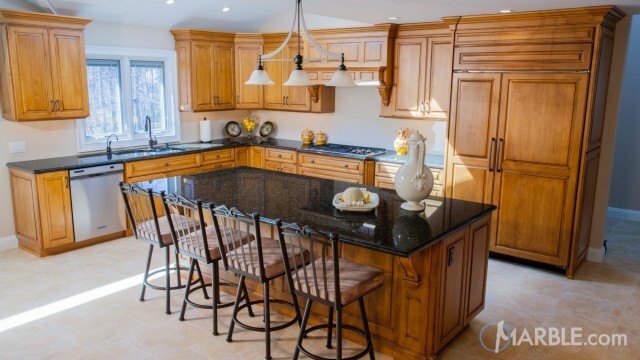 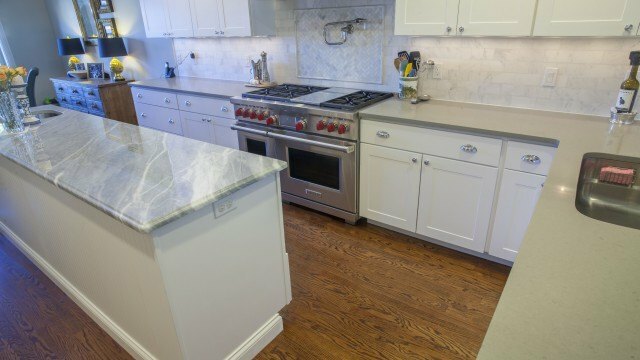 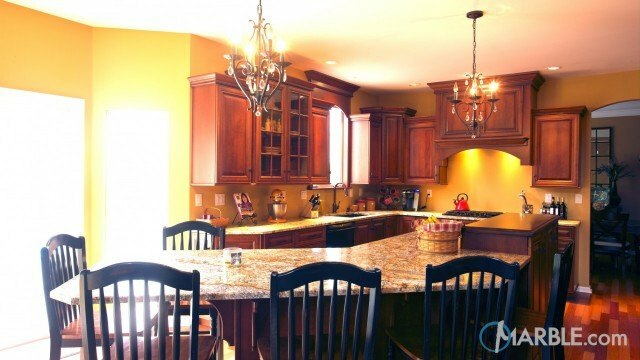 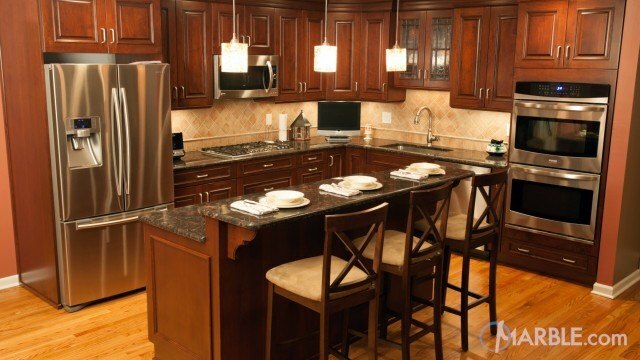 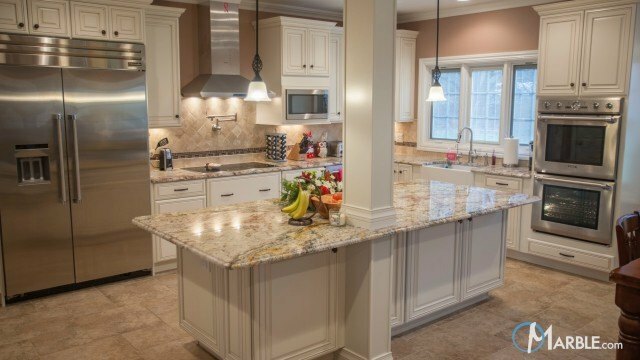 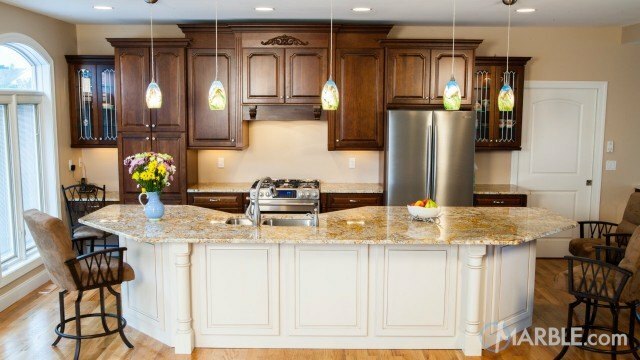 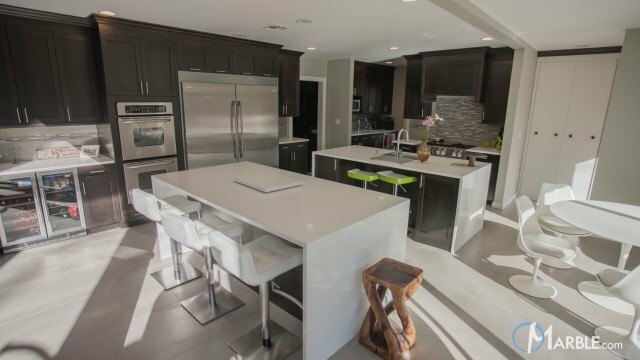 This beautiful kitchen has plenty of prep room and features a large four-person breakfast bar and island. 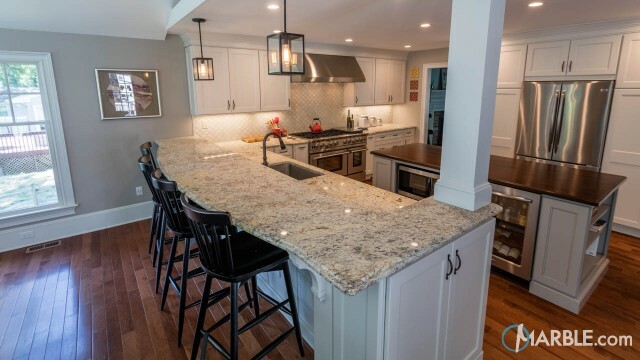 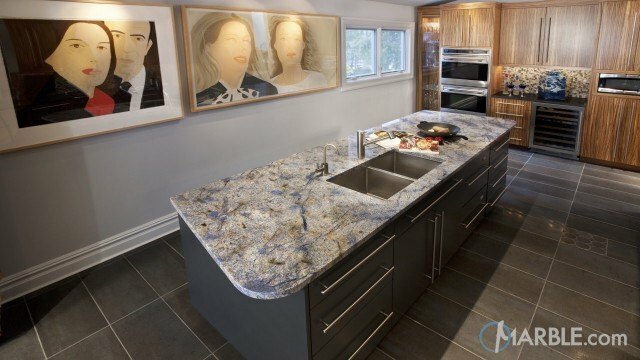 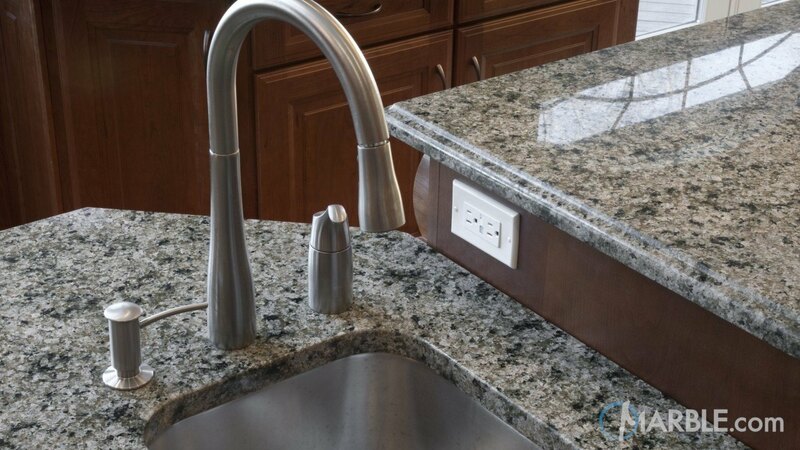 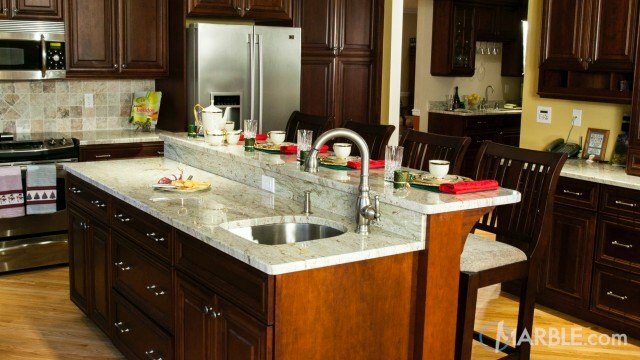 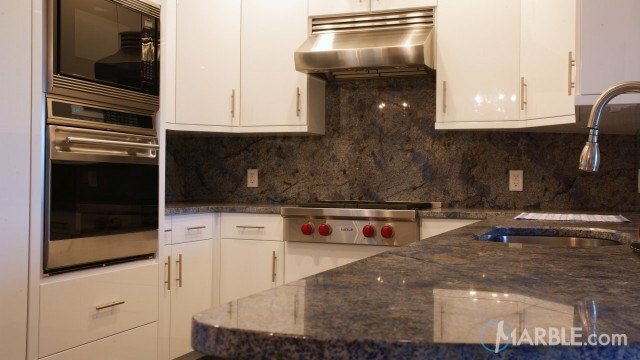 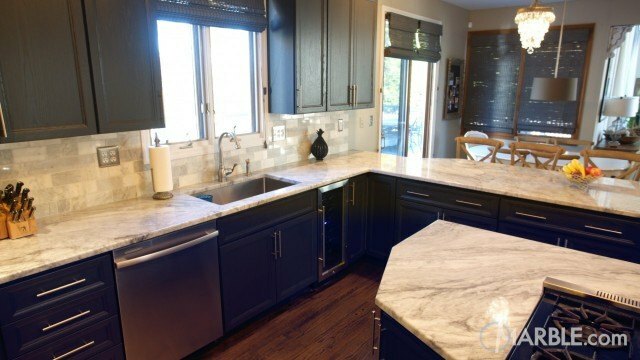 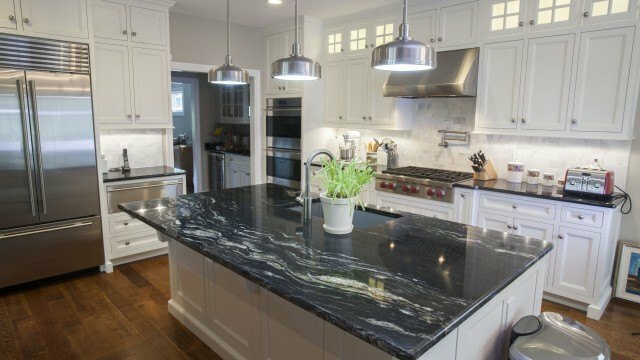 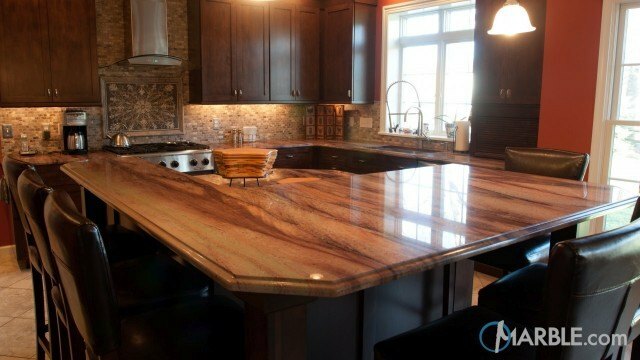 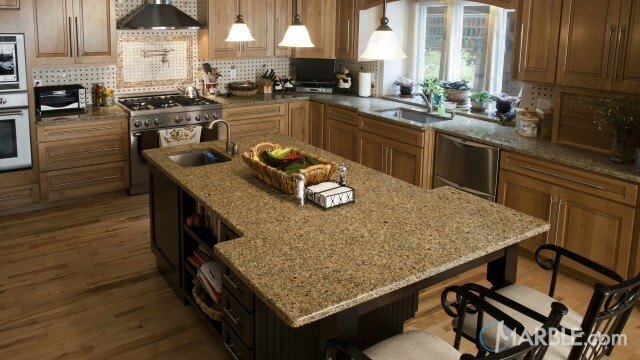 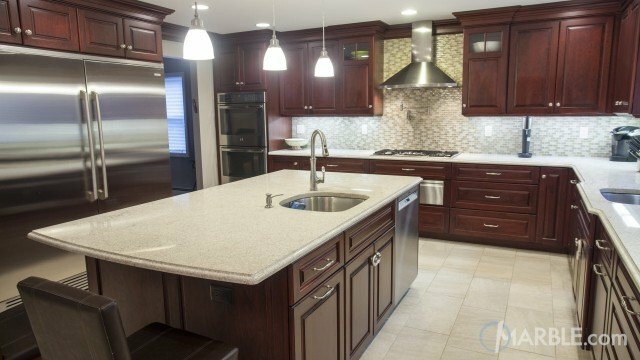 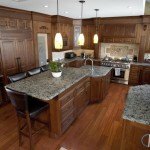 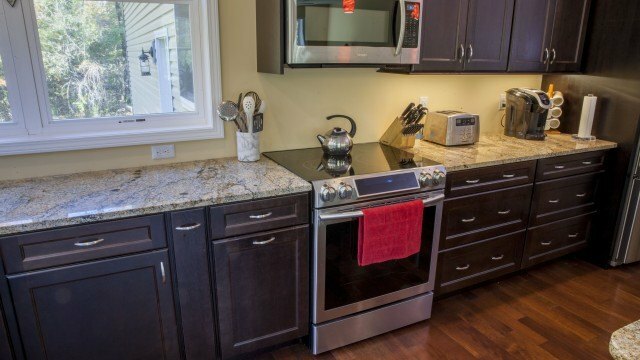 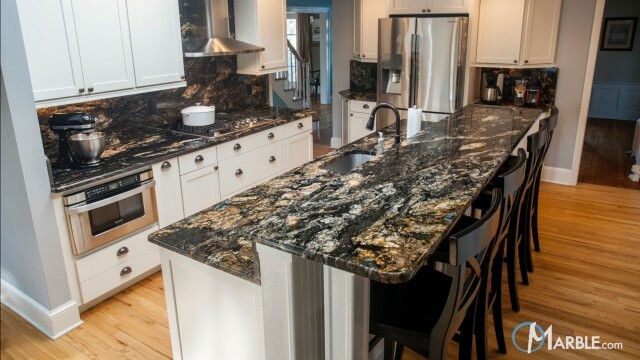 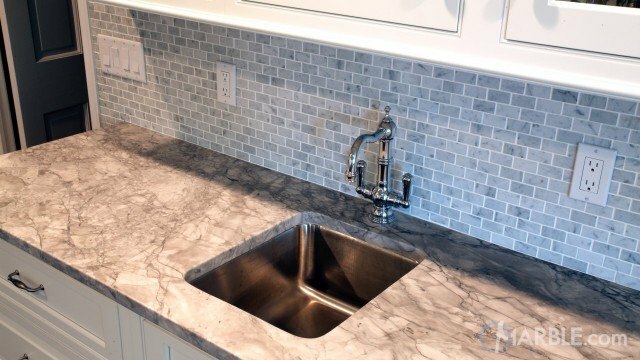 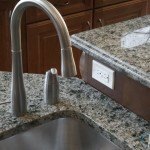 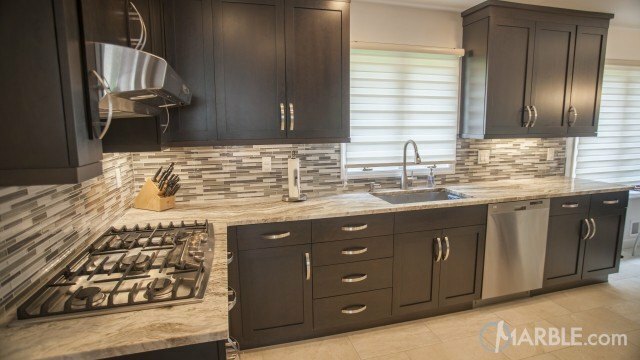 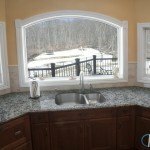 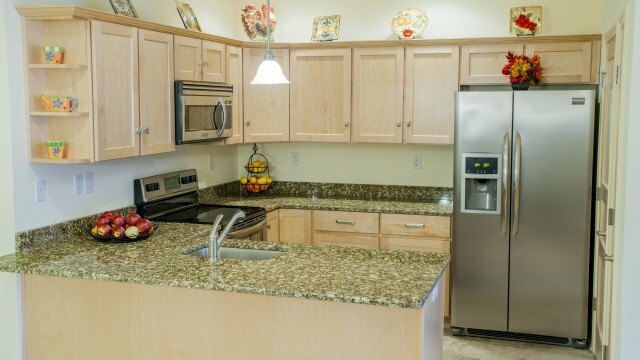 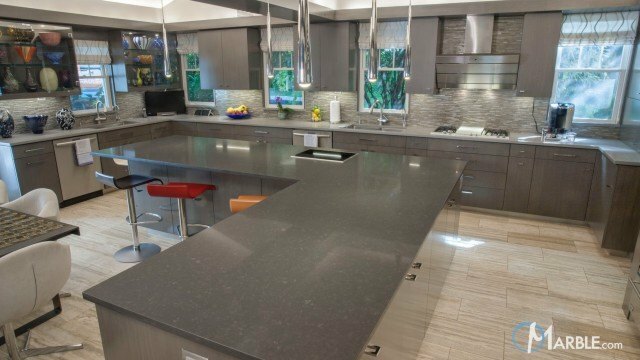 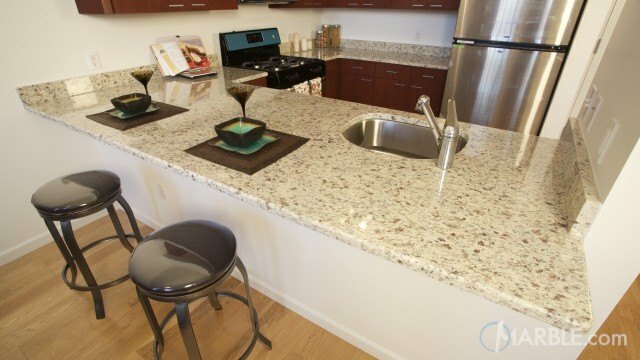 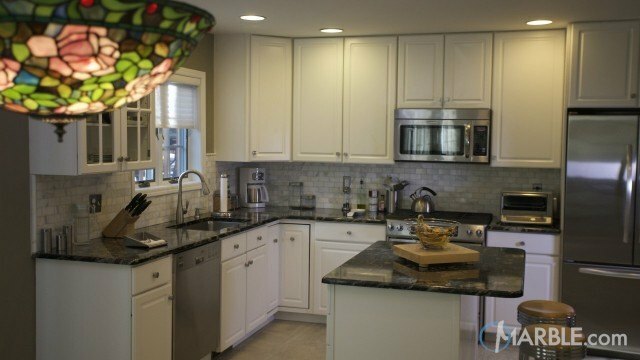 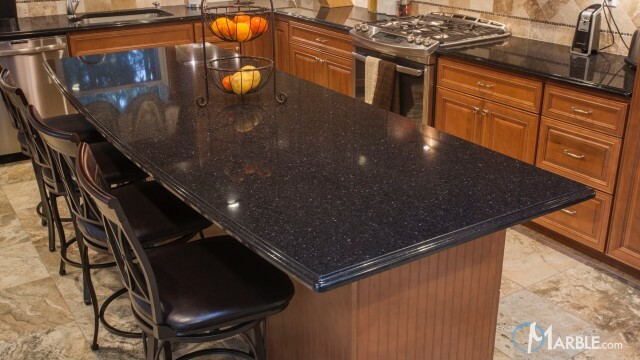 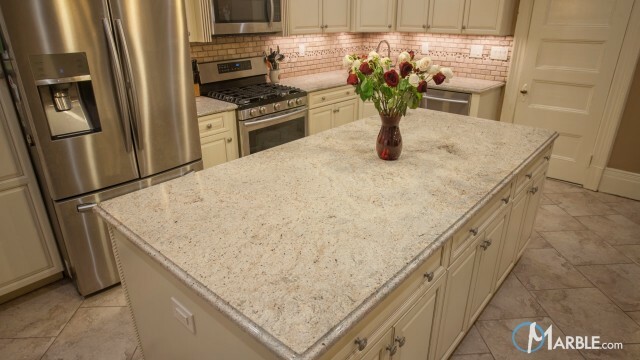 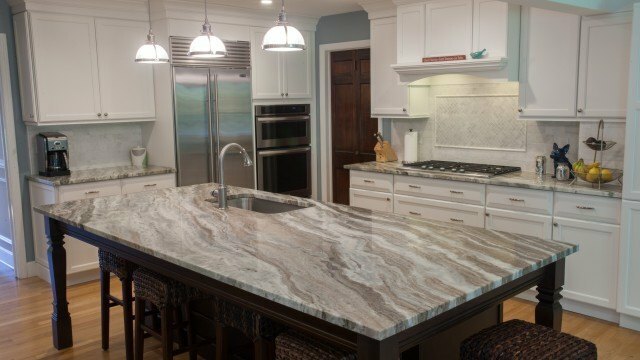 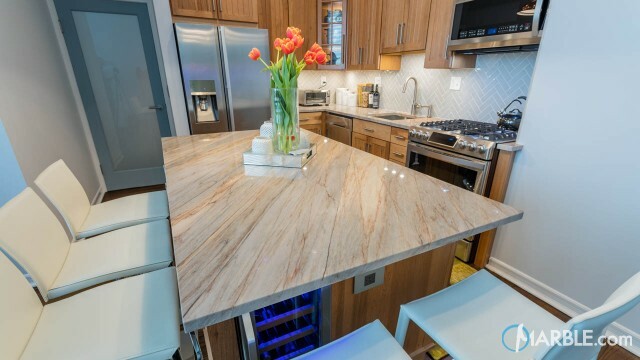 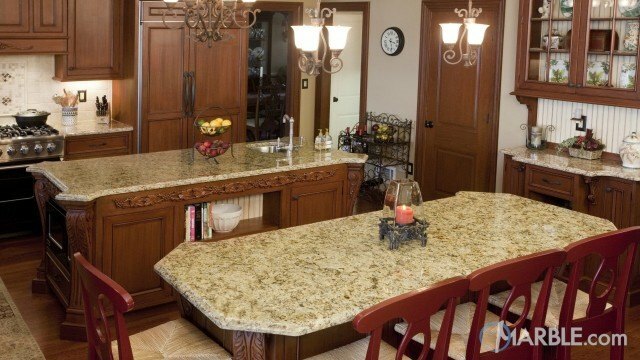 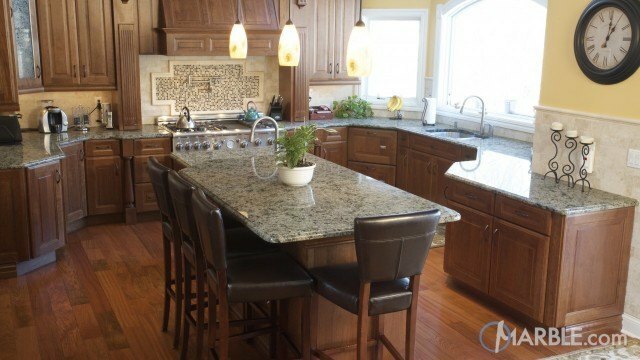 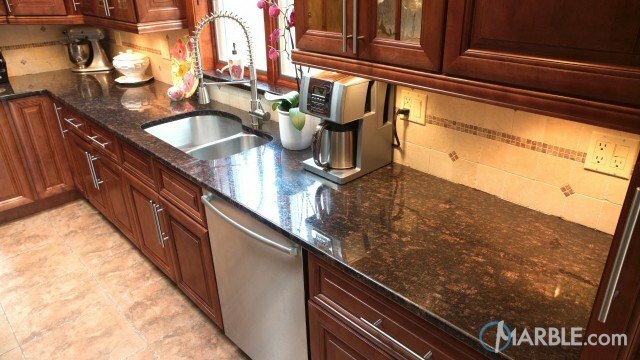 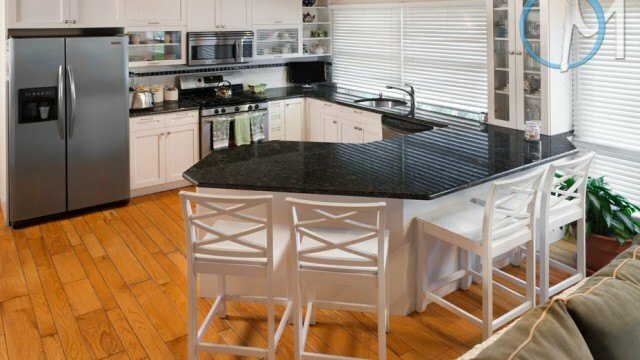 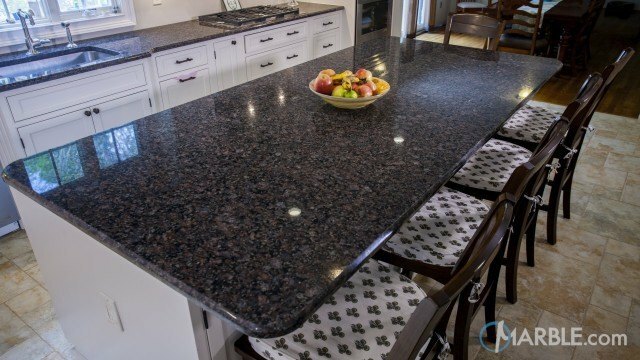 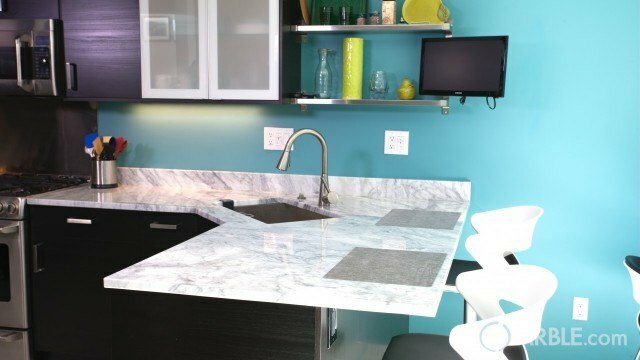 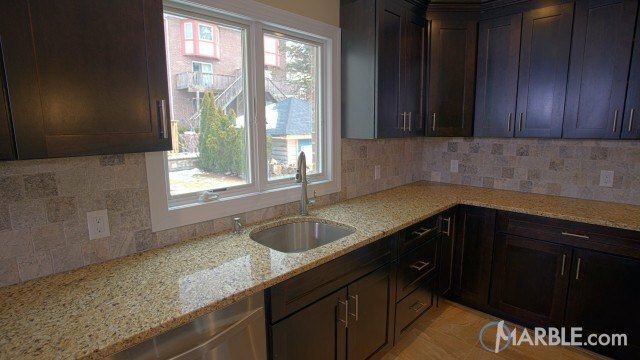 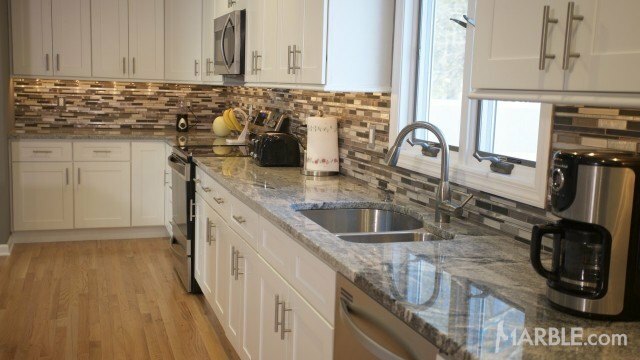 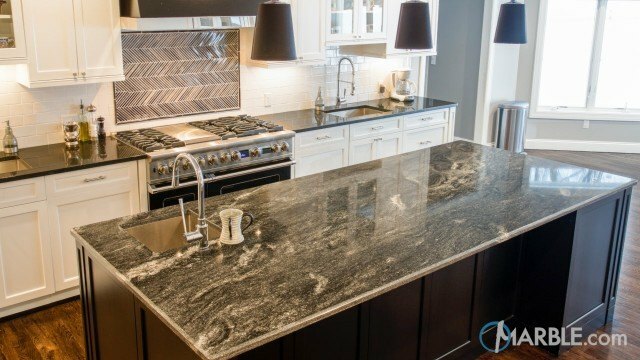 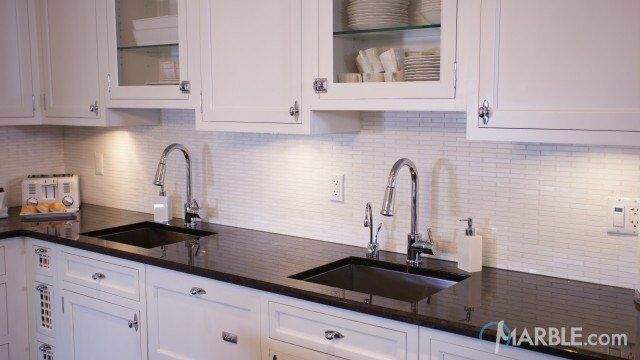 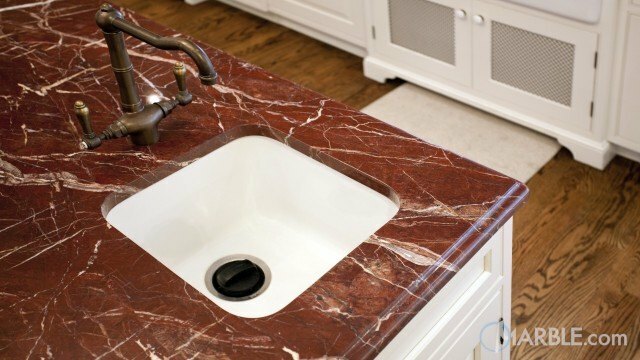 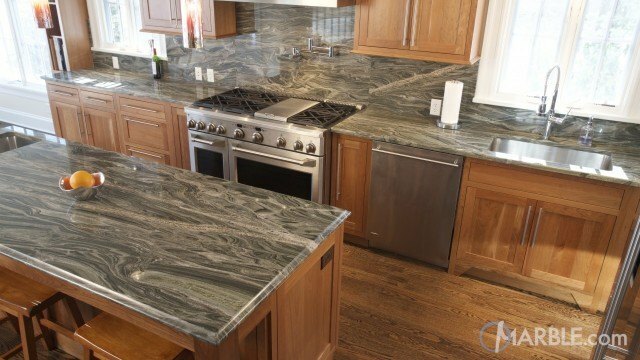 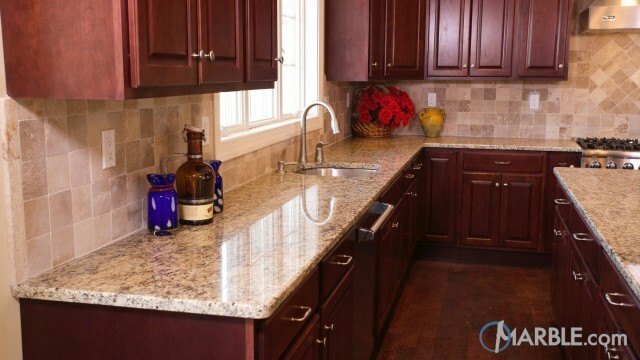 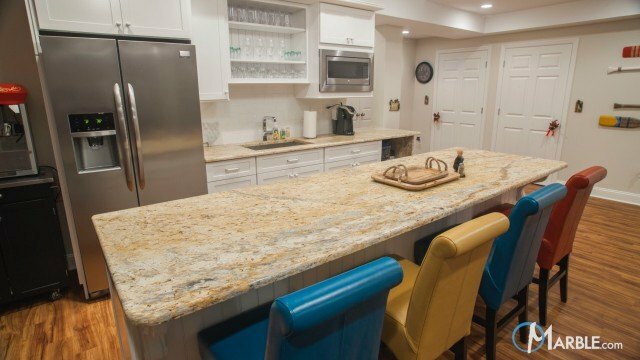 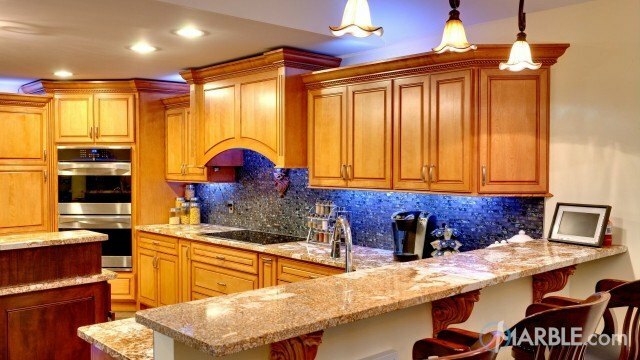 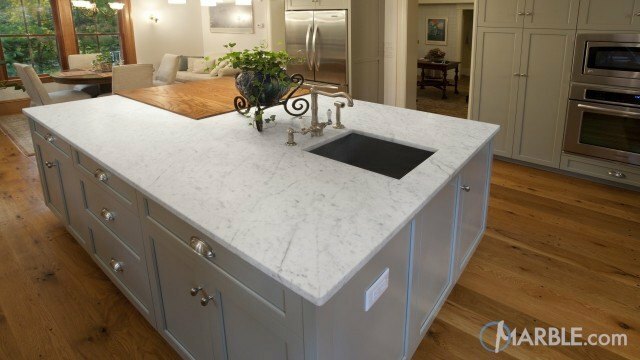 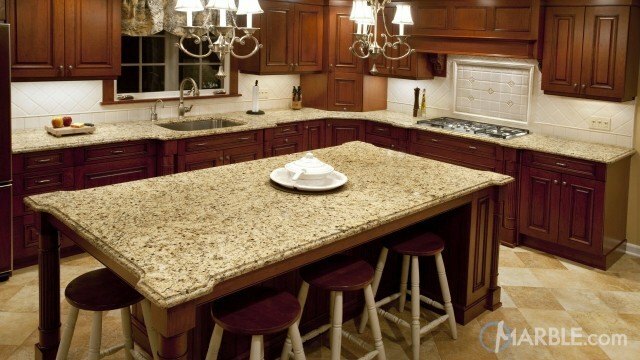 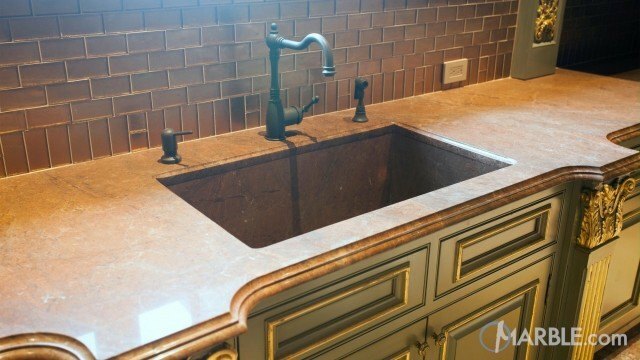 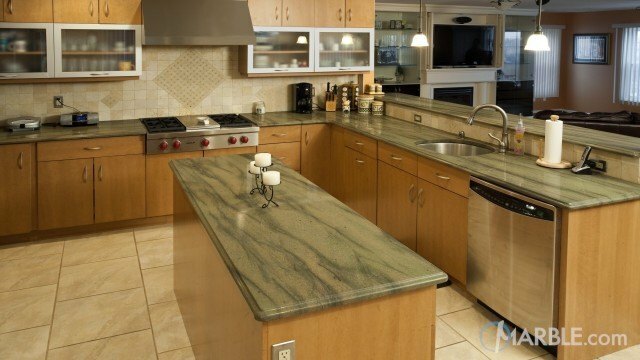 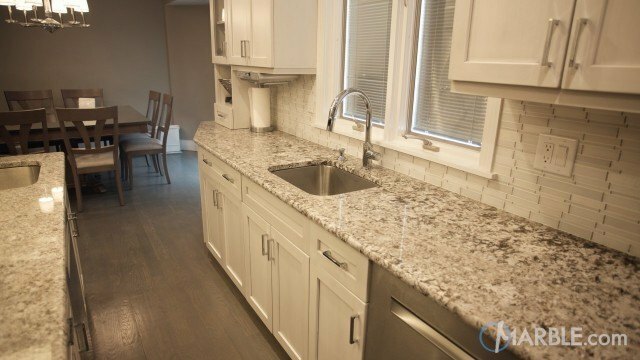 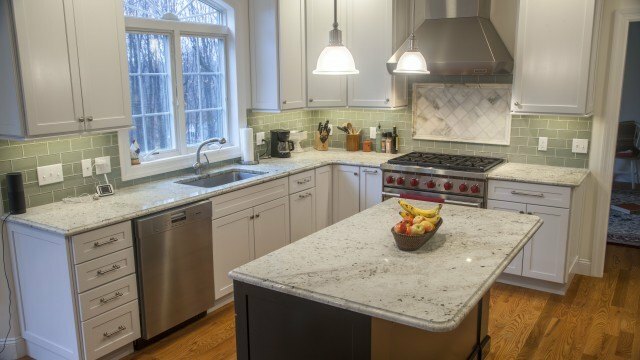 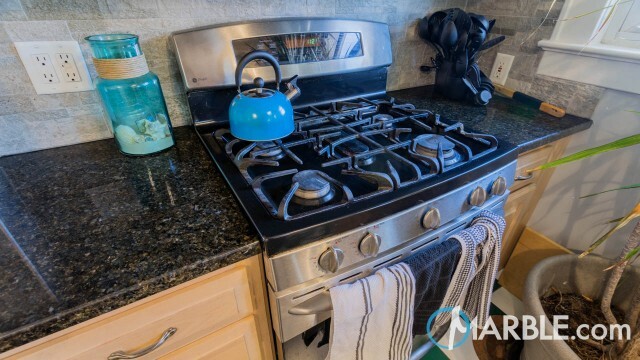 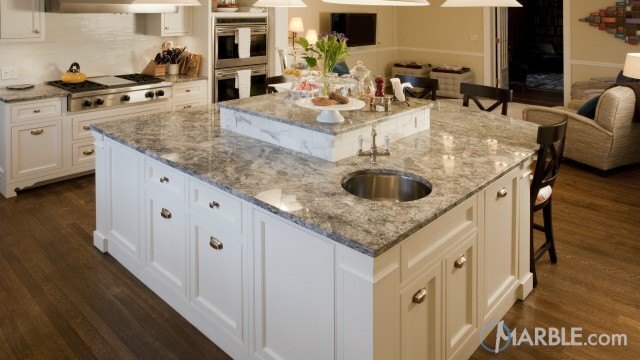 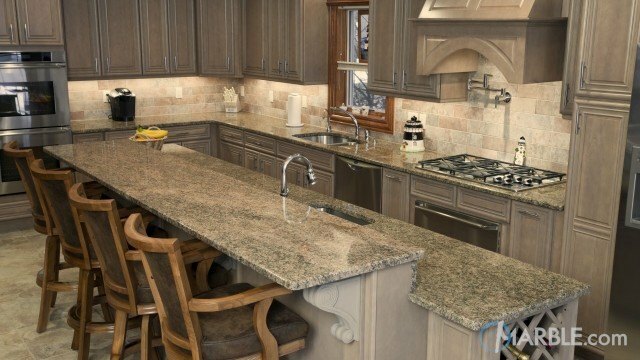 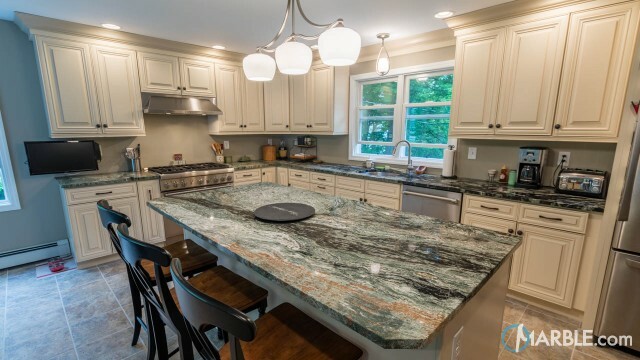 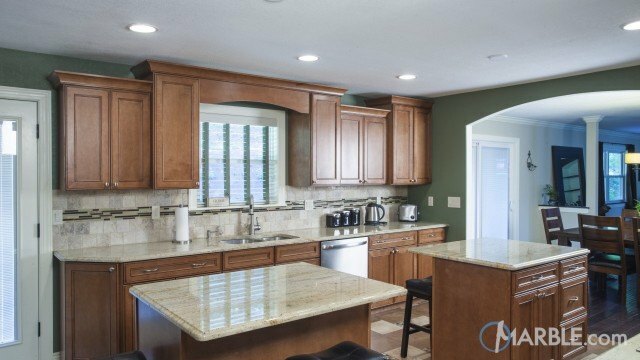 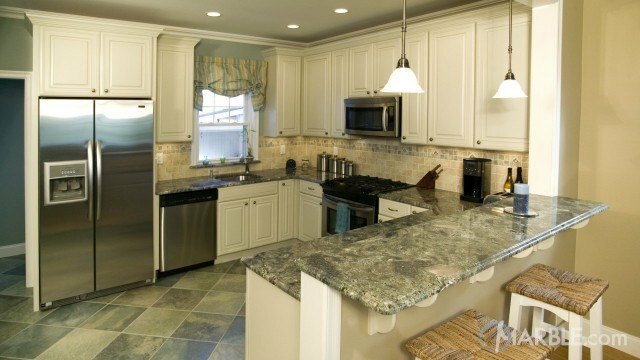 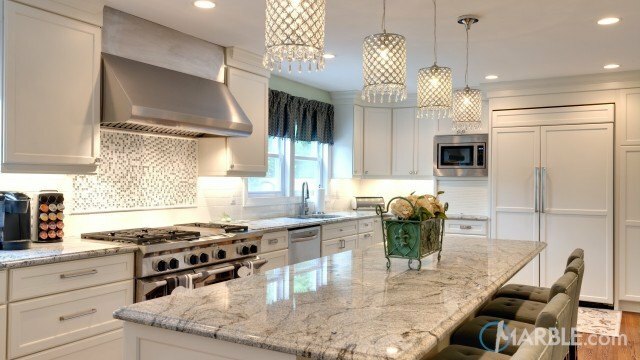 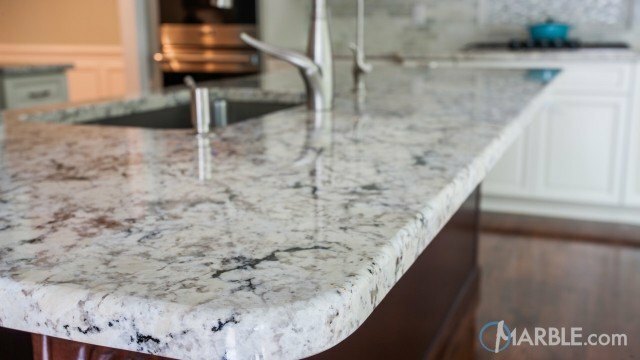 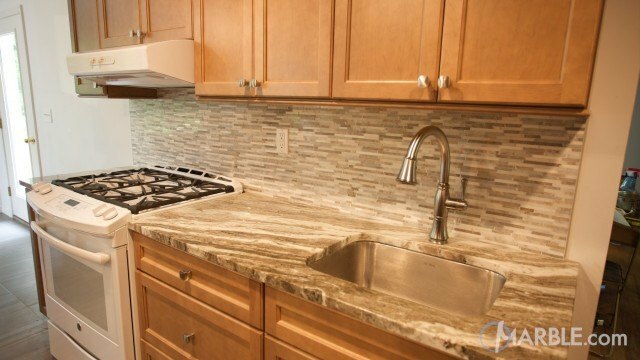 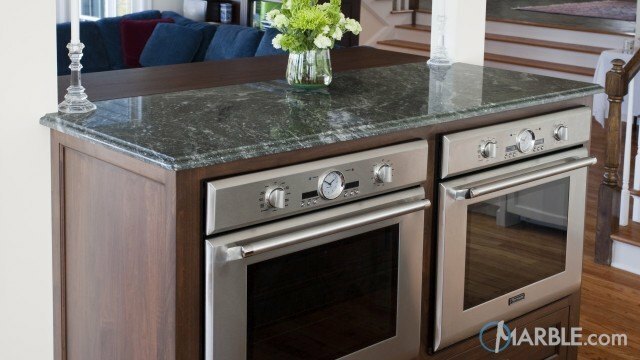 The wooden cabinets and floor are light enough to keep the room open, but dark enough to let the Green Venture granite counter tops stand out and be noticed. 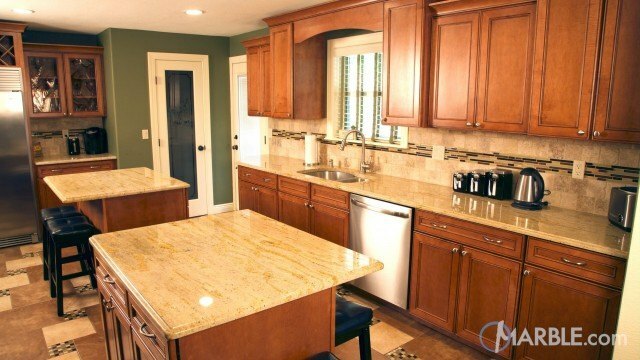 The yellow accent wall plays with the blacks and greens of the stone and complements them perfectly.